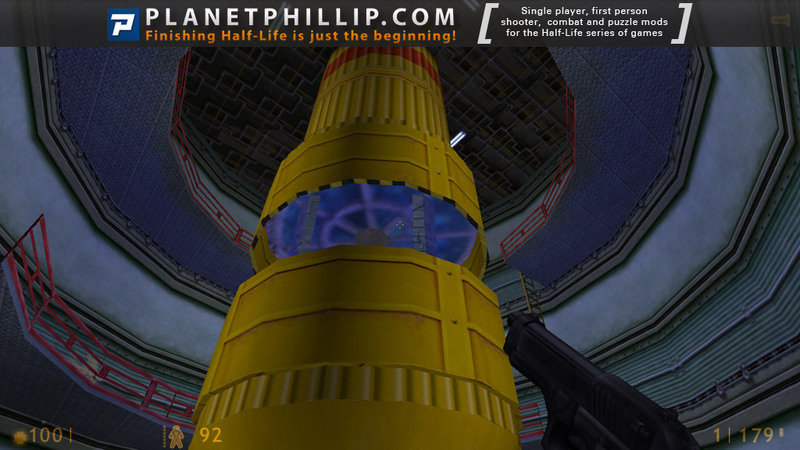 “Thomas Redgrave, a temporary scientist of Black Mesa just as Gordon Freeman but that work in the section of anomalous materials, but that as licentiate in the university of Paris (France) in the run of organic chemistry works in the section of investigation + development of the Área3( other of the Black Mesa sections ). As other any working day, direct us to our section of Black Mesa in which our laboratories and all our area are found of work. For which will hear it is seen that it move close enough near to the work, as about for one hour before, and so us informs it the guard of security we find in the entrance of the laboratories after have us gone down of the train of boarder transport of Black Mesa. As have moved close very prompt, recommend us that we make good use of the free time until the hour of beginning of the event to train us in the use of the HEV dress and the arms by means of the track of training of the laboratories; towards there direct us without any incident, and it begin the track of training ( that it is justly the same track of training that many have seen in the Half -Life original ). But suddenly, before beginning one of the proofs of skill with the leap, they occur a series of phenomena, explosions and tremors strangers, finished then after with a final cigar that dies out often of the light. Before giving counts us, when returning the light of emergency, see us surrounded for a series of enormous and strange are alien. Without arms with which can defend oneself us, it jump to the emptied to fall in the water, where will take in us for a sewer to escape of there. Please Note: I used the original mod in Steam and besides the issues mentioned in my review, which I don’t think are related to the file, everything worked perfectly. 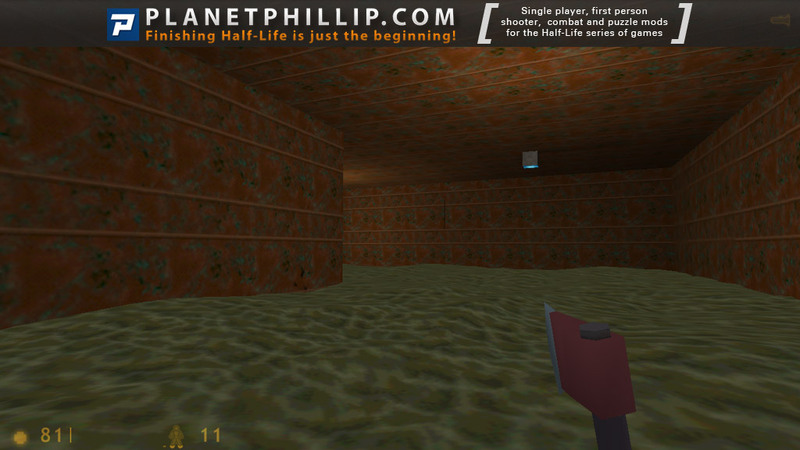 Copy the bravebrain folder into your Half-Life folder. Brave Brain should now be listed in your Library tab. This is really sort of a general question. 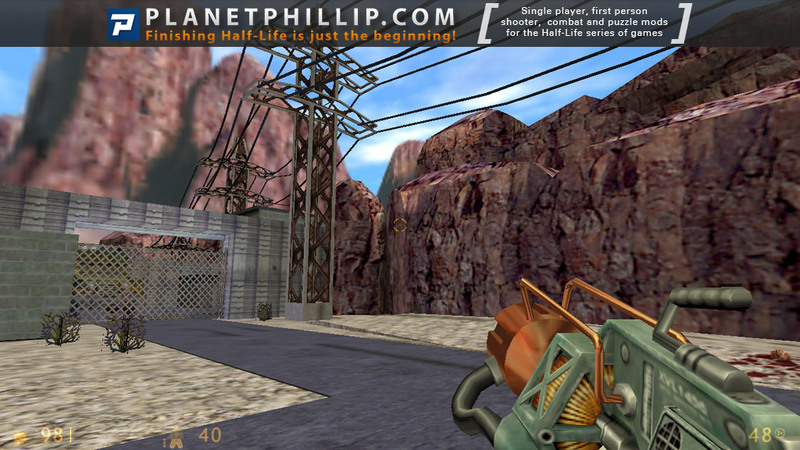 I don’t play HL-2 and my version of HL came out before Steam, so I haven’t been using Steam. If I install Steam, how does this work with older mods? Could I use this mod via Steam and still have access to pre-Steam mods? As you can tell, Steam is just a mystery for me. Alternatively, can I download/use this mod without using the Steam fix? I’m no expert and hopefully somebody else will also answer. I used to have ttwo installation of HL. A normal one, without Steam and a Steam one. I did this because a lot of older mods didn’t seem to work with Steam. Unless you plan to actually buy a game via Steam I don’t think there’s a good reason to install it. But I could be wrong. In answer to you question, yes I believe you can install the mod without using the Steam fix and everything should be fine. I am stuck at the level where you are at the top of the elevator that falls because the barrels won’t move even though they are making the sound like they are moving. Any suggestions? Mmmm.. My local copy is also corrupted. I downloaded the one I linked to above and that is exactly the same as my local. I found another working version that is slightly larger and that seems to work, so I have edited the above link to point to the new file (15.03 ). The strange thing is that the bad file was downloaded 44 times and nobody complained. It must have been bad for everyone of thos downloads! 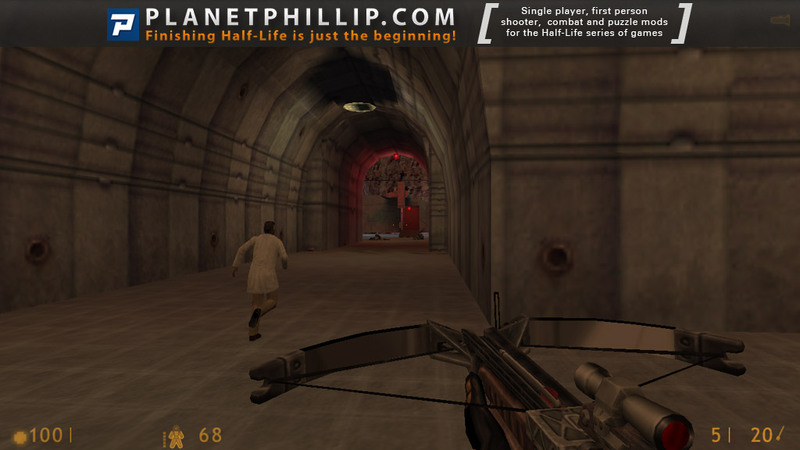 That’s not as strange as you might think, Phillip. I’ll bet that many downloaders, like me for instance, get the file and just save it for future use. Right now I am mostly playing Blitzkrieg. im stuck in the xen part where g man talks to you.. how do I get out?? 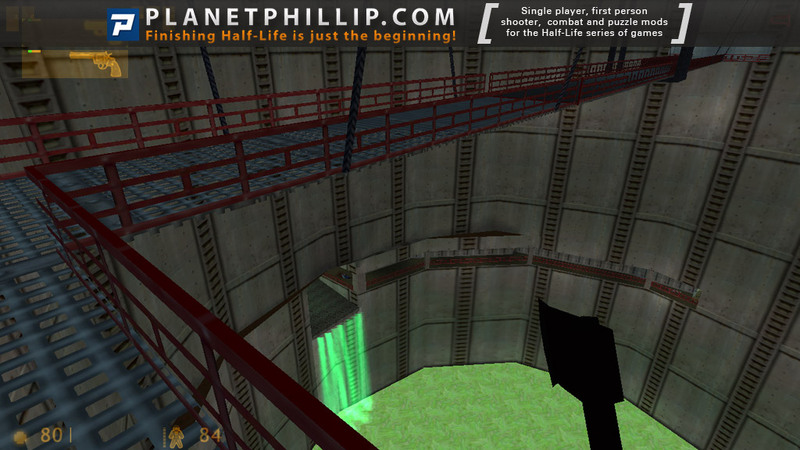 I am stuck at the level where you are at the top of the elevator that falls down into the water. 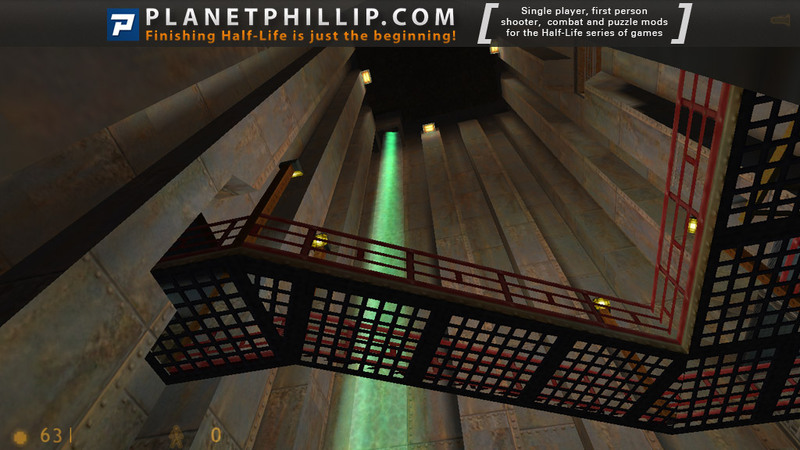 you get to this level by moving lifts to different levels and then jumping across. The barrels won’t move even though they are making the sound like they are moving. Any suggestions? I am being prevented from walking across the ramps after the G-man speaks to me. There seems to be an invisible door or it’s a really rotten bug. I am also not able to activate the console as it apparently failed to load. So, noclip is out. Like dufferx, Im also stuck by the invisable (door)???? Looked everywhere. What am I missing or is there a bug? andyb, I noticed back in January you were attempting to help dufferx and iceddeadmeat. I am also stuck in the same spot and assuming you are also. Does anyone have a solution to this besides noclip. The sticky bomb works like a charm. Thanks, Ernest. And the mod is terrific. The author just keeps getting better as he goes along. glitch and SPOILER here: just after we overhear the Gman making Gordon an offer he can’t refuse, there’s no place to go. It’s a pretty spot to be stuck in, but the game doesn’t seem to have an intentional ending. The key here is to get to the narrow opening, that appears to be the “invisible door’, BEFORE the Gman stops talking. You can actually see the Gman talking to Gordon before they both disappear into the portal. At that time, you can go thru the narrow opening (invisible door) and enter the Xen structure. You can’t get thru the opening after they enter the portal. Nothing new but maps are pretty goods and there are som familiar places like the Labor test Sector of HL^^! 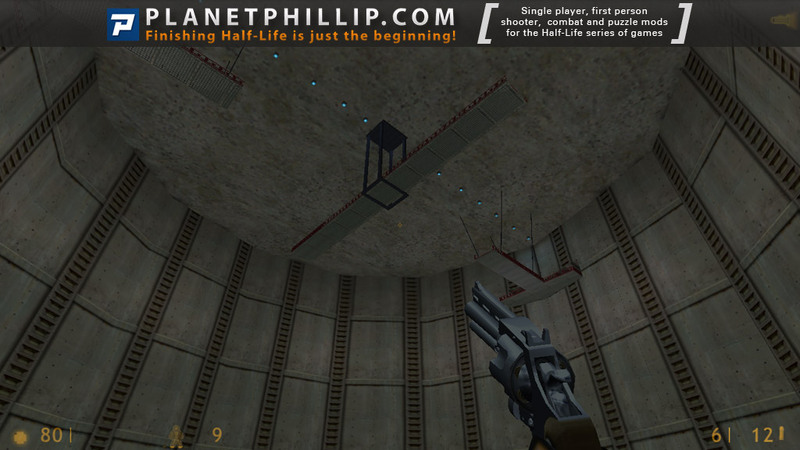 Pretty cool for the fans (like me) of the Black Mesa Research Facility! you have to do every thing before you move the barrels that means you have to go thru the door at the top by activating the elavators to the right level.i beat it before its fun. I have to say for the most part I was impressed with this mod. Sure, it’s not one of the earliest releases being from 2003 but it’s still very interesting. You MUST start with the training course, because this is where the mod starts from. It’s actually a nice concept and quite well done. 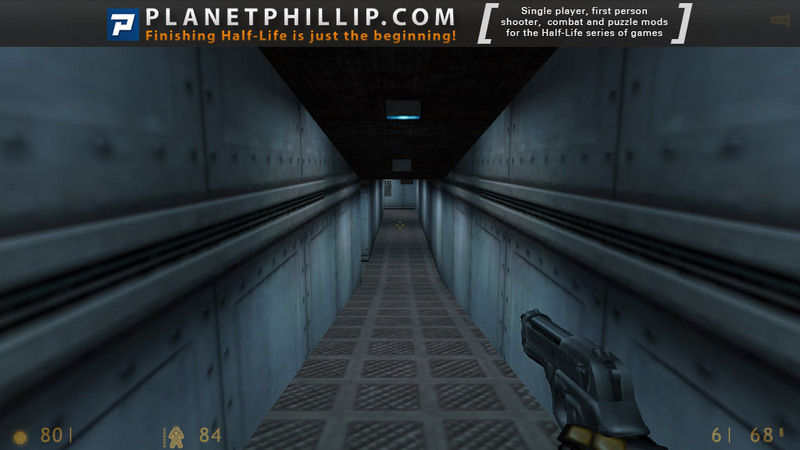 The general feel of the mod is close enough to Black Mesa that it feels “right” although too many areas are bland and empty. 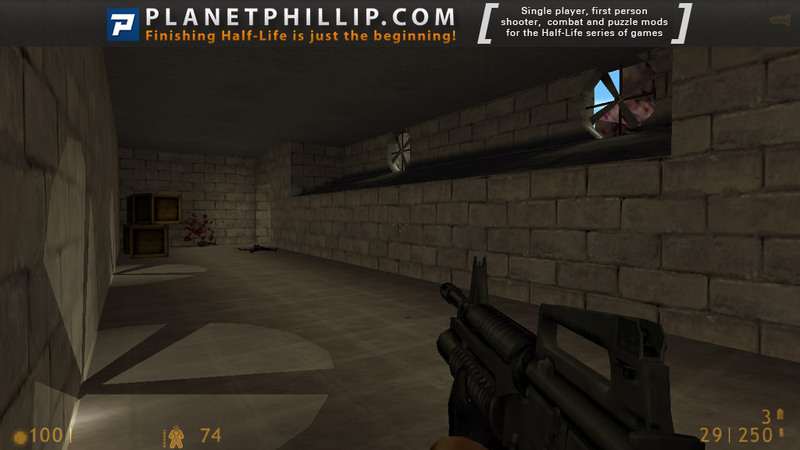 The mod features some nice set scenes, but they are a little temperamental. For example, I had to ride the tram 3 times before I didn’t die. I got stuck twice and had to noclip, once by the angled lift where the barrels wouldn’t move and I couldn’t find a way into the vent and once after I had shot the helicopter down, I couldn’t find a way to get Barney to the door (which I presume I had to do). The initial voice acting was okay, but I don’t believe a modder should ever try to recreate the G-Man unless they are really, really good. In fact, the original scientist could have been sued at the end and that would have provided a nice little story twist. I found the difficulty level a fraction on the easy side, but the variety of encounters was generally fun. The new vehicle was pretty well done but I died the first time I sued it because it started when I was outside and once it moved I was crushed. Which reminds me, I died a number of times in the section with the helicopter. There was a door, leading outside, every time I got near it I took serious damage. if I stood there for 2 seconds I was dead. Once it opened fully, it was fine – very strange. Anybody else have this issue? You are required to keep some NPCs alive but none are too hard to do. All in all I really enjoyed it, but the noclips, bland areas and minor irritations stop me from saying a WOW. after I had shot the helicopter down, I couldn’t find a way to get Barney to the door (which I presume I had to do). There’s a army truck inside the storage area. Jump up to the driver’s seat and use the truck to destroy the fence. Then lead barney over to the locked gate door. There was a door, leading outside, every time I got near it I took serious damage. if I stood there for 2 seconds I was dead. Once it opened fully, it was fine — very strange. Anybody else have this issue? I tried that but nothing happened. Thanks for the tip though. You should have already have broken the fence down with the truck if you had let Barney out and got the RPG because you need it to jump over to the building with the key in right? No, because it’s possible to jump from where the truck is. Remember you have already collected the long-jump module. Perhaps if the truck had an “engine-running” sound I might have tried harder. I found that the barrels that you mention did move if you push it sideways while holding the use key. I think it may have just become stuck on the other barrel. I didn’t have any trouble with any insta-kill doors in the helicopter section though I didn’t encounter a helicopter (like in screen 60) either, maybe that had something to do with it. Did anyone else miss out on shooting down a chopper? I just started playing this mod, it looks great. very ingenious way to start by making you do the hazard course. p.s. sorry barney but I know you understand, I needed the gun. snicker. 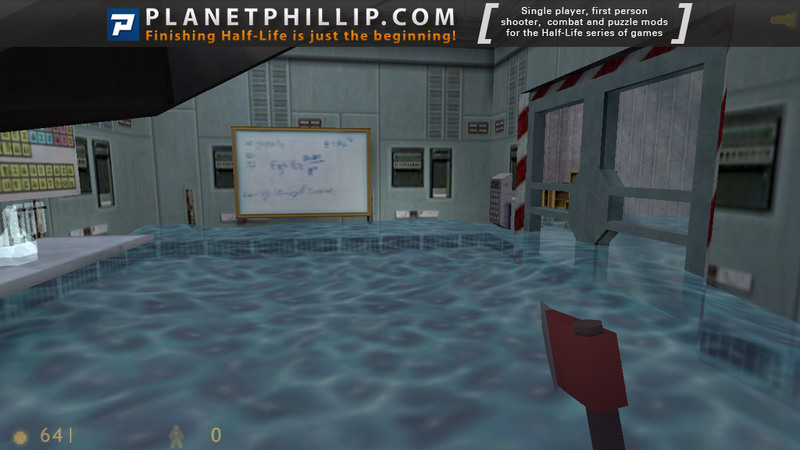 This was almost a Mini version of Half Life with some very similar scenarios. 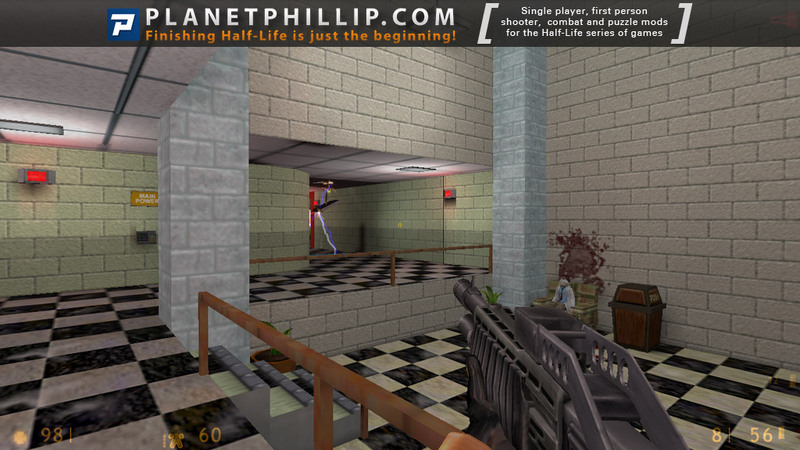 The look and feel was a lot like BM, but that’s probably because some of the areas were copies of the original game. 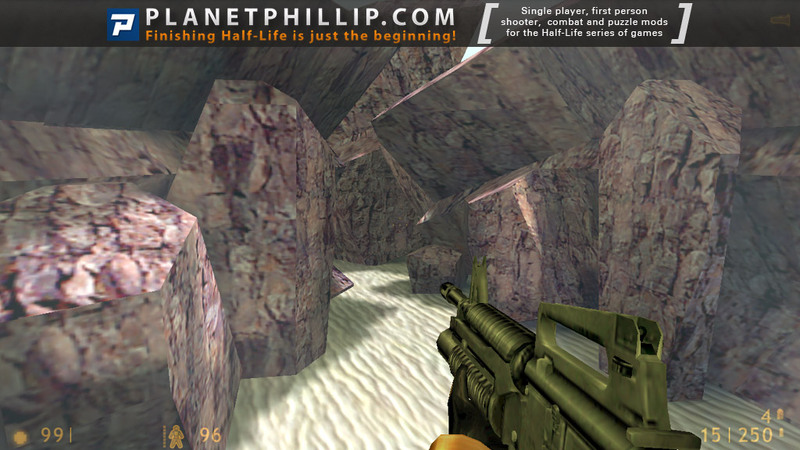 The gameplay whilst a little too easy at times was fun and it was easy to get immersed in it and just enjoy playing. 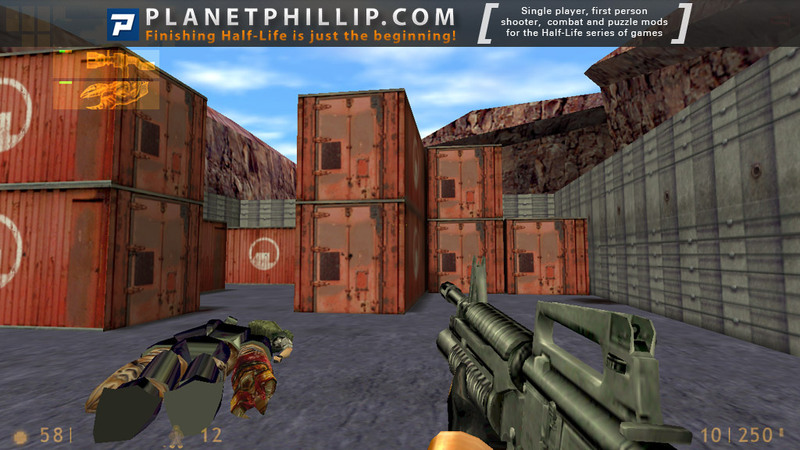 Many of the HL1 style scenarios were executed, but with a twist on how they were played, so they initially seemed the same but weren’t. 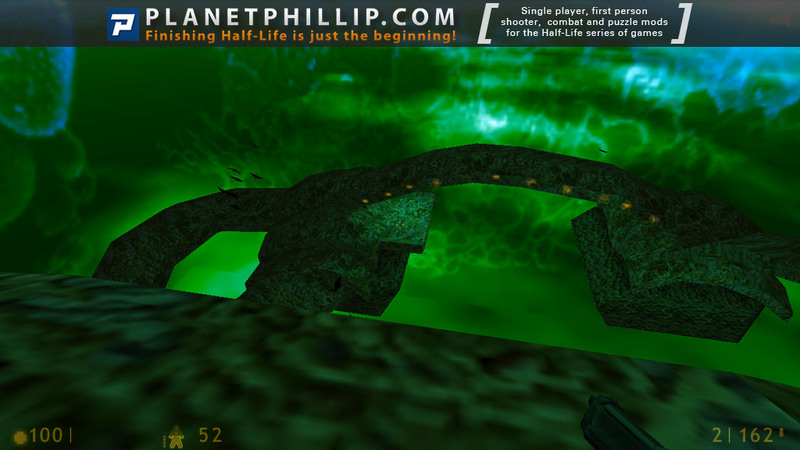 The part on Xen was the usual jump from platform to platform, but once on the part you can walk across, vorts and alien grunts appear in the distance. They are too far away to attack and are easily taken out with alt-fire on the alien grunt weapon which saves a lot of ammo. This is not one for those who like hard mods, but I enjoyed it. Just saw John’s post, yeah I did the same but didn’t enjoy doing it as there were no snickers to be found or a mars bar for that matter. I were debating with myself wherever I should give this a Play It Now! rating but in the end I went for a four star rating. This is mostly because of a few issues and nitpicks but overall it’s definitely a map pack worth to be played through. On the positive side there’s a lot of fun to have here; the combat is generally good and fairly balanced, though a bit too easy in certain circumstances, there’s a lot of good scripted set-pieces that are well executed as well as fun to be involved in, e.g. 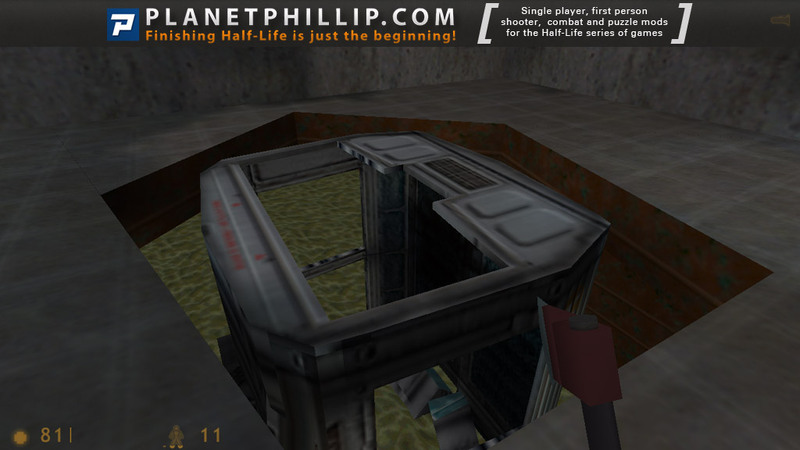 you go onto a elevator slowly rising to the top when suddenly it malfunctions and quickly goes down breaking a piece of a sewer pipe which eventually fills the entire room with water. Another really great set-piece is when you jump up and take control of a vehicle with a gatling gun; you don’t actually steer the vehicle but you control the weapon while tons of grunts and aliens stupidly run in front of your view. Now, this sounds really good, right? Why only a four star rating then? Well, as mentioned there’s a few minor and major issues I had during my playthrough. Firstly, one area had you walking down a hallway while spotting a locked gate. 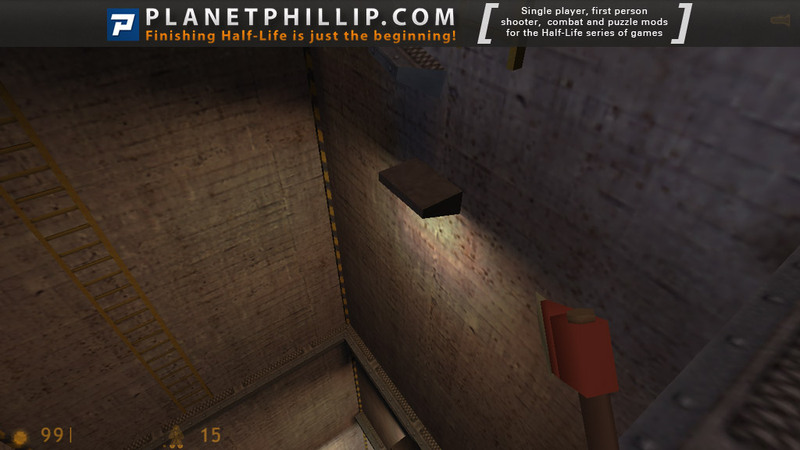 You see this ventilation grate in the wall and try to jump in, problem is it’s too far up so you’re unable to reach it. You walk back trying to find some crate or barrel that you can use in order to reach it. You spot a pair of barrels conveniently stacked in corner, try to push them but you notice that they’re impossible to move. 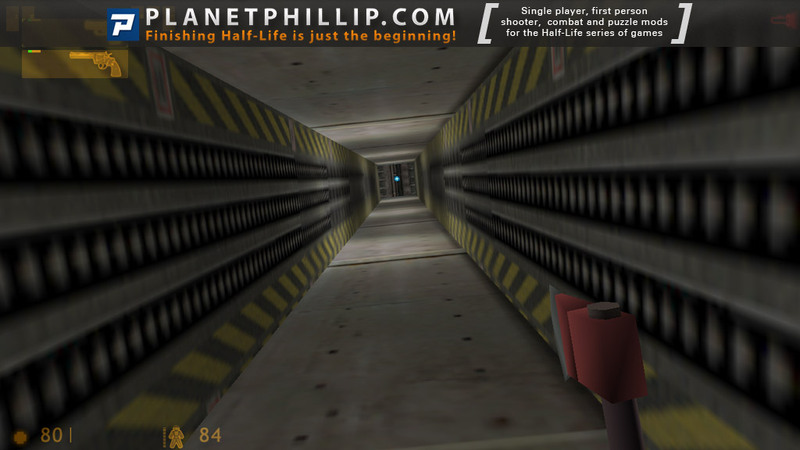 The only way to go past this area is to noclip up through the vent and continue forward. 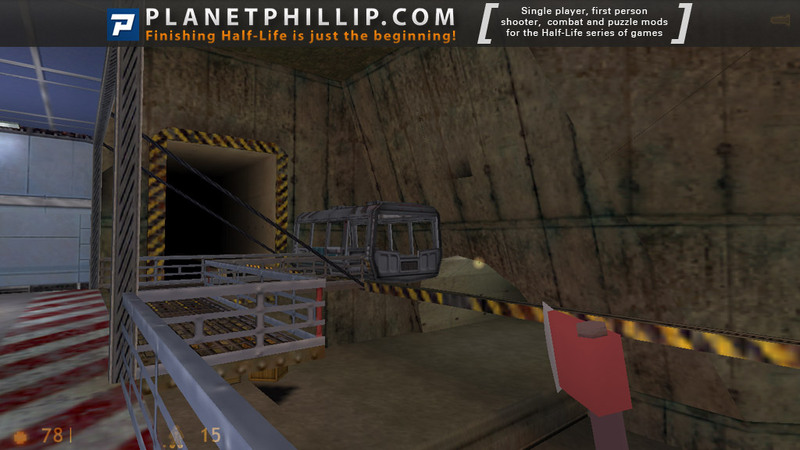 Secondly, there’s one part that had you in a tram while suddenly a alien grunt spawns in front of the tram and crushes the railroad which eventually stops the tram dead in its track and crashes down into the dark abyss below. The problem here is that it’s incredible easy to get squished while the tram crashes down in a vertical manner. I thought I had to somehow jump out of the tram before it fell but incredible enough you’re actually supposed to go down with it. 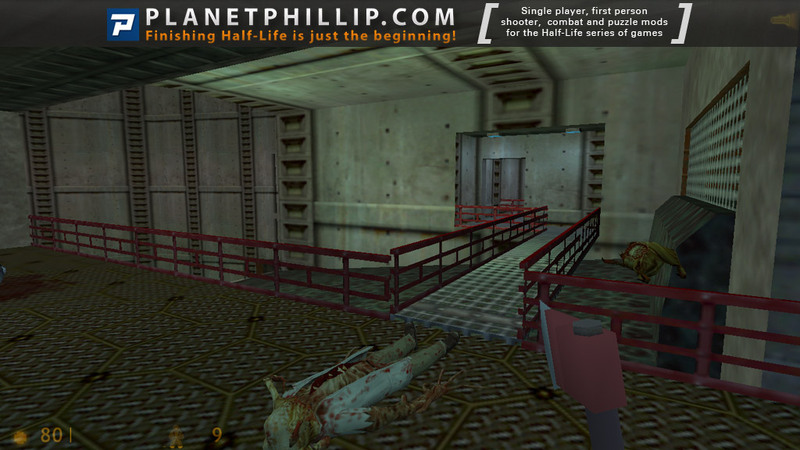 Another thing I thought were odd was that you didn’t get any firearm during the beginning so you had to resort to meleeing aliens to death with just a fire axe and these include not only zombies and headcrab’s but also alien slaves and houndeye’s. 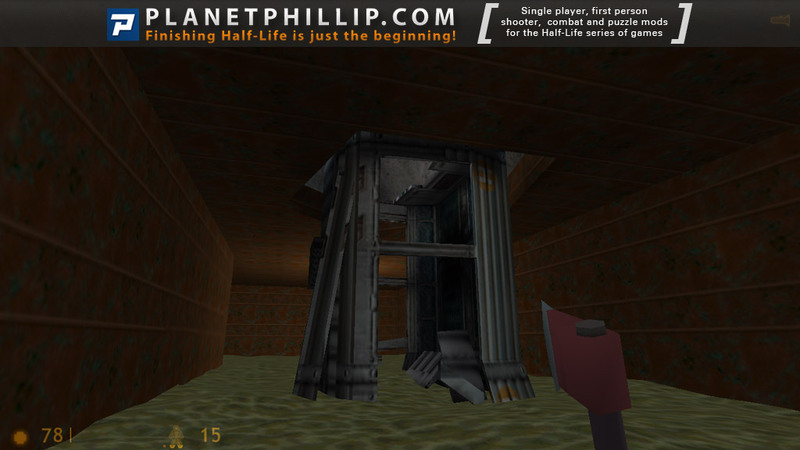 A few other issues, while minor but still breaks the immersion a bit, are sloppy mapping throughout, specifically holes in walls or floors/ceilings and some ugly texturing. Lighting is mostly strong lit areas which results in boring, sterile environments without barely any decent atmosphere. 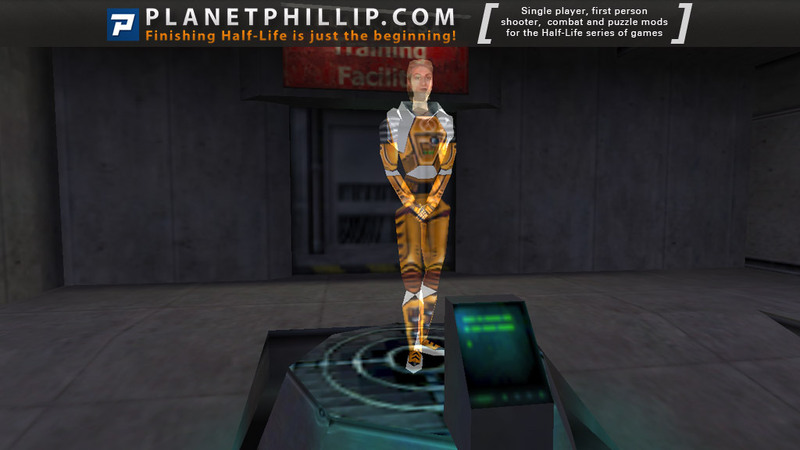 There were a few odd design choices during the pack such as human grunts still being present even after they ordered a retreat in the original Half-Life and, though I won’t spoil anything, the actual ending. 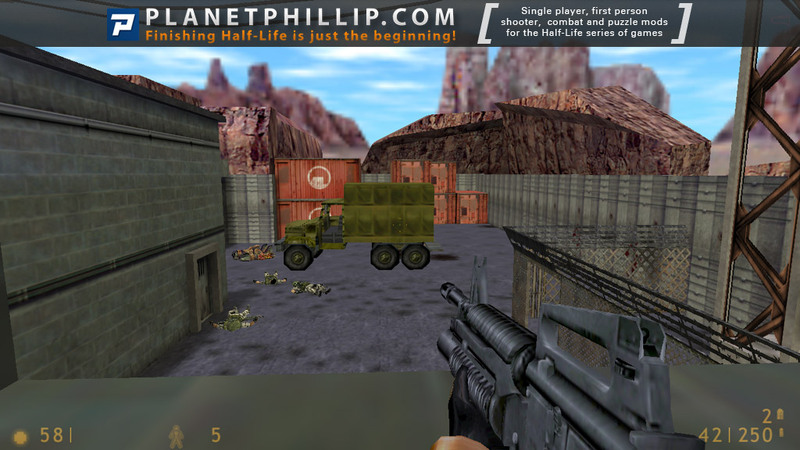 All in all, despite these issues and nitpicks it’s still a highly enjoyable map pack with good combat sections, great set-pieces and some solid level design. Easily recommended. The architecture is mostly great, but sometimes black walls and some negligence are noticed, and the detail is too low in some locations. There are new dialogues and excellent use of the stock ones. We will see some spectacular destruction. 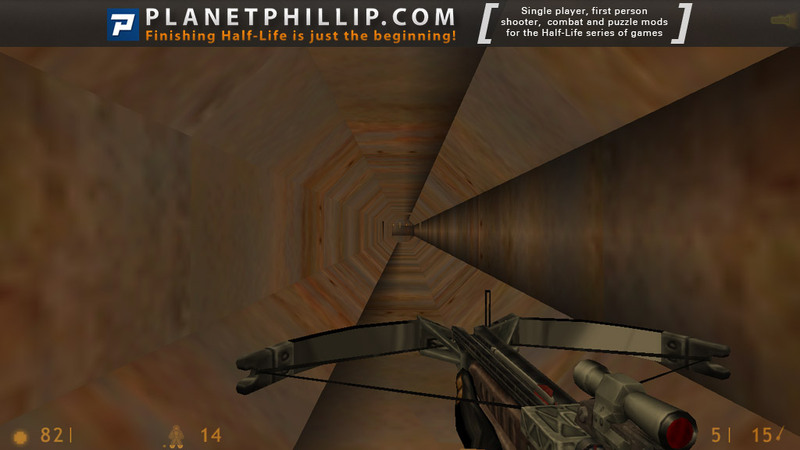 At one place there is a glitch – the barrels which are supposed to be used to get into the ventilation are not moving, so I had to use sv_gravity command. Looks like the author didn’t spend enough time debugging the mod. 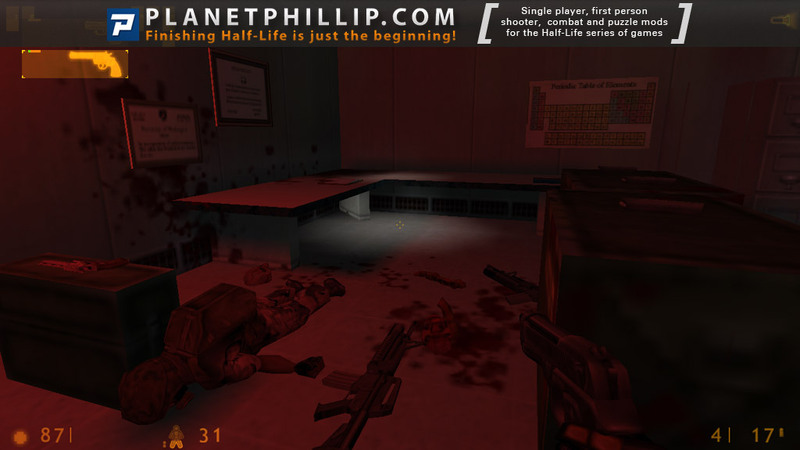 Even though this mod has disadvantages, it’s an exciting expansion pack, which really creates the feel of seeing the Black Mesa incident from another point of view. 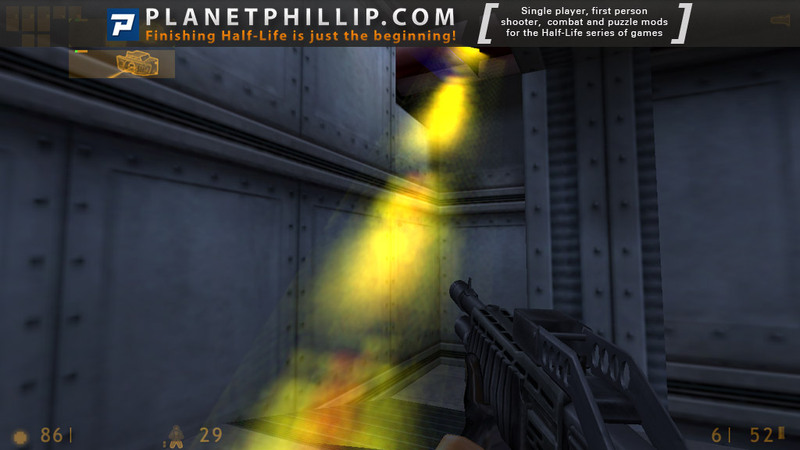 Its story fits in the game’s story very well, so everyone who likes Half-Life should play it. 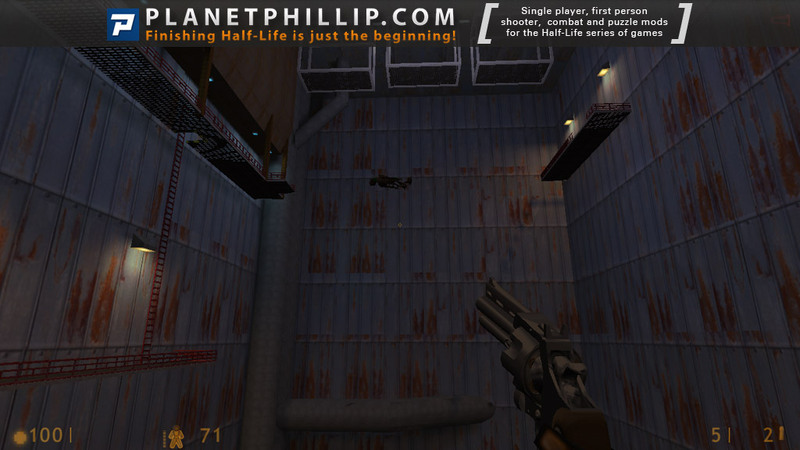 As a matter of fact, I would like to play a Half-Life 2 mod which would continue Redgrave’s story. This latest mod Brave Brain mod download does not work. I suggest you post a “saved game” to get past or fix the barrels that wont move at the top of the shaft where the elevator crashes. I see other people have run into this problem. I have tried this mod a few times and always run into the same problem. Thanks. 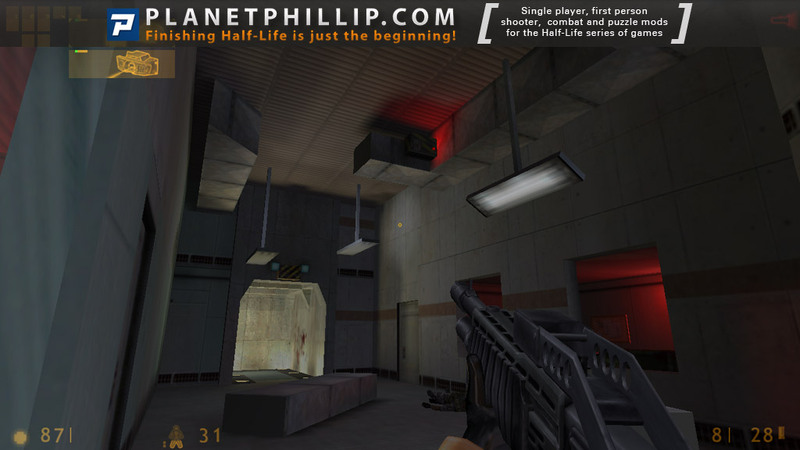 Play as one of colleagues Gordon Freeman on Black Mesa, Tom Redgrave. On that fateful day when the accident occurred, he, unlike Freeman, came to work too soon and went on a training course, the accident occurred while he was there. When monsters teleported to the complex he decided to sneak back into the laboratory to the workplace. 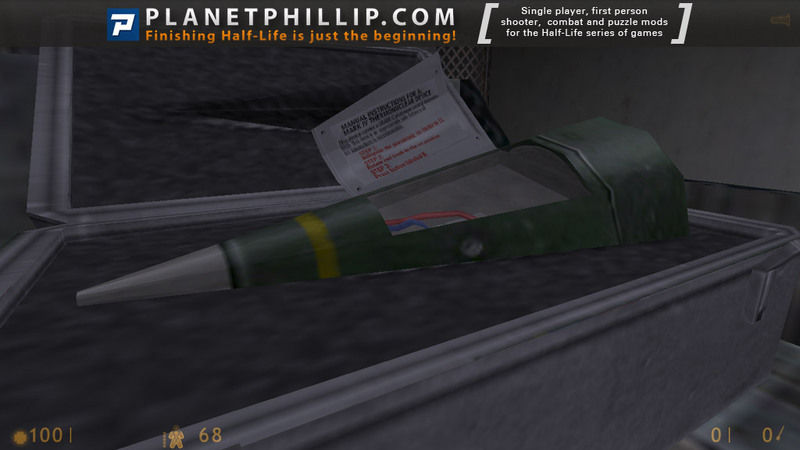 Arriving, he learns from his colleagues that the crash occurred at sector C.
In mod there are new textures and slightly changed weapons. New one – a fireman pole, which will instead crowbar. 1. Consistency. 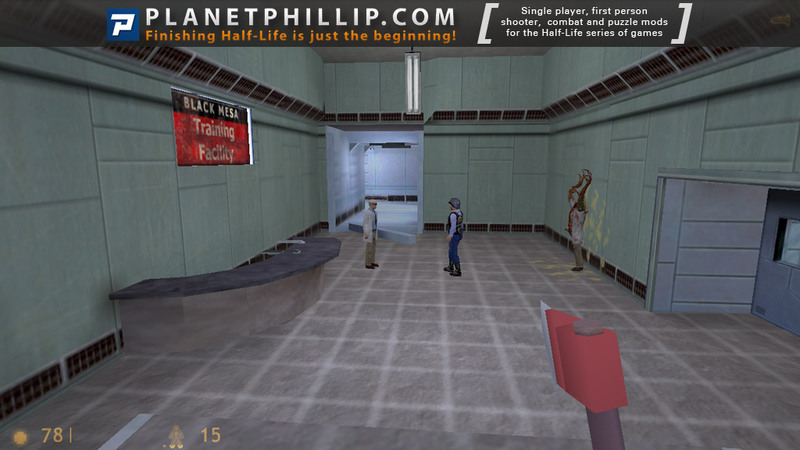 Judging from the dozens of mods, in which the action takes place in Black Mesa, protective suits lying around out there on every corner, while in the original Half-Life we came across only three suits, one of whom took the Freeman. Here, the author strictly follows this tradition, and our hero takes a last, fourth suit, which was in the training course. 3. A good story and gameplay. On five points. 1. In many places, even very high r_speeds, of the proceeds to 2500. If you have a weak computer, it will be brakes. 2. 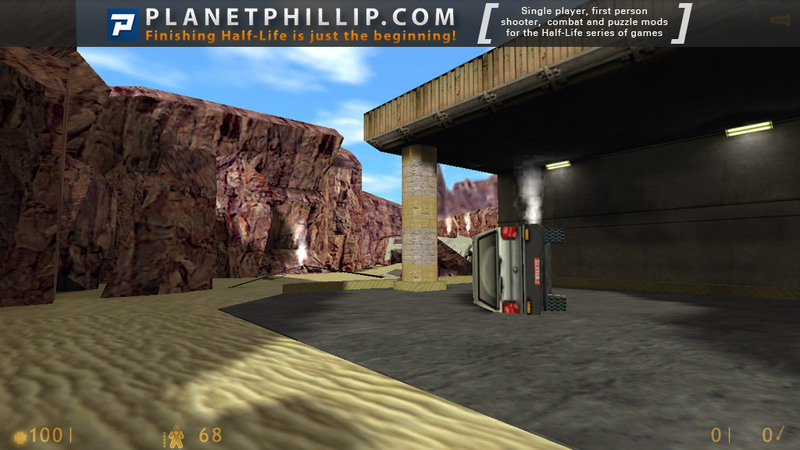 The storyline of highly compressed, despite that the 31 maps. 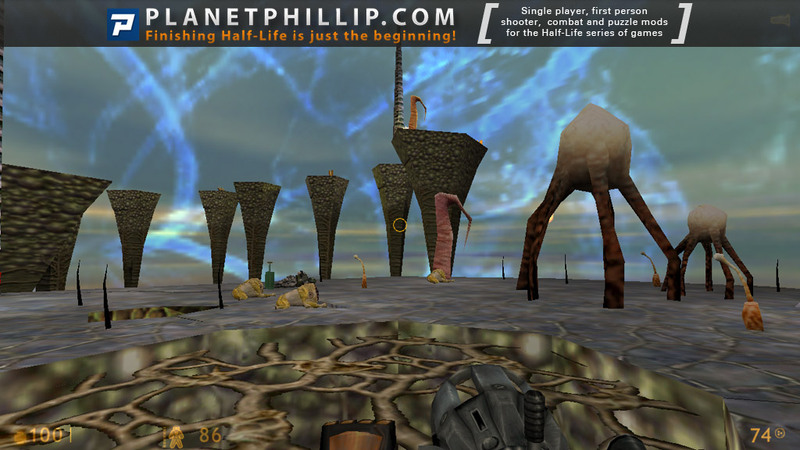 The game begins shortly before the crash, but during the disaster, Xen, we’ll see Freeman and GMan shortly before the end of Half-Life. Brave Brain excellent thing that will please everyone. One mistake nearly ruined this whole mod for me. This is the most fun I have had on any mod in the 100SDoN so far. I nearly gave it a “Maybe” or “Play it Later” because of one huge error, but I enjoyed this too much to do so. 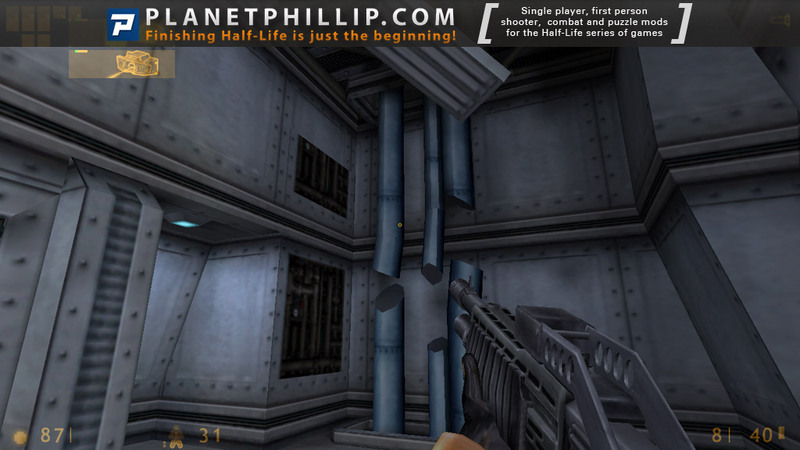 it actually felt like a proper Valve and/or Gearbox expansion to Half-Life. The gameplay of this mod was brilliant. There was a lot of action and it was really enjoyable. There were also puzzles which were actually well thought out and took me a while to think about them, unlike the majority of button pressers in mods we’ve had recently. The crowbar was reskinned as an axe and the 9mmhandgun and 9mmAR both had new textures and sounds respectively and I thought that they worked well, especially the AR sound. The part with the walker minigun thing was really enjoyable too, but I’m a sucker for mindless shooting. 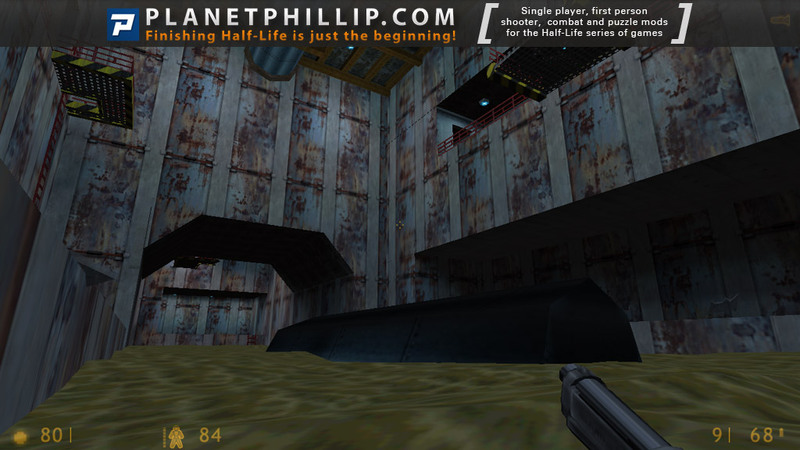 In this mod we revisit several locations from Half-Life and Opposing Force, as well as similar style areas. 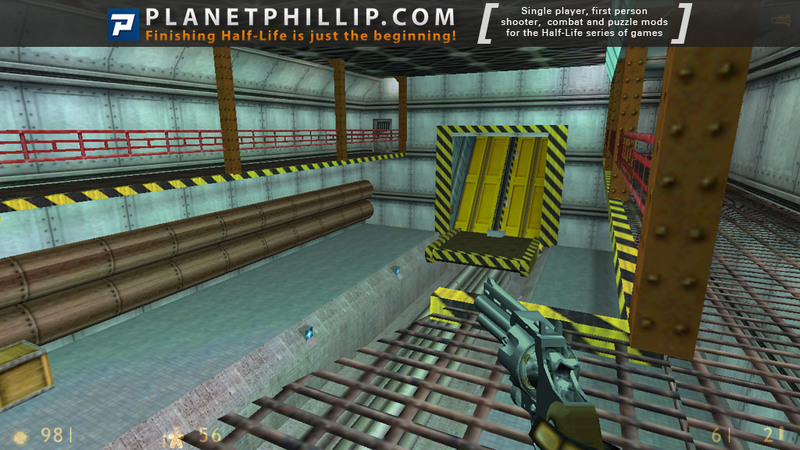 The Valve and Gearbox type layouts were one of the main reasons I enjoyed it so much as it was really well designed. 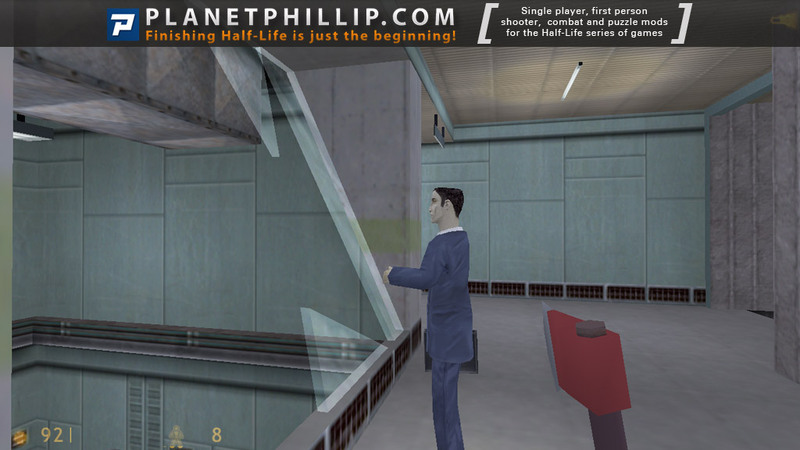 Some people might say that this mod completely ripped off both HL and op4 with some of the areas, puzzles and scenes, but as long as I’m enjoying it I don’t care. 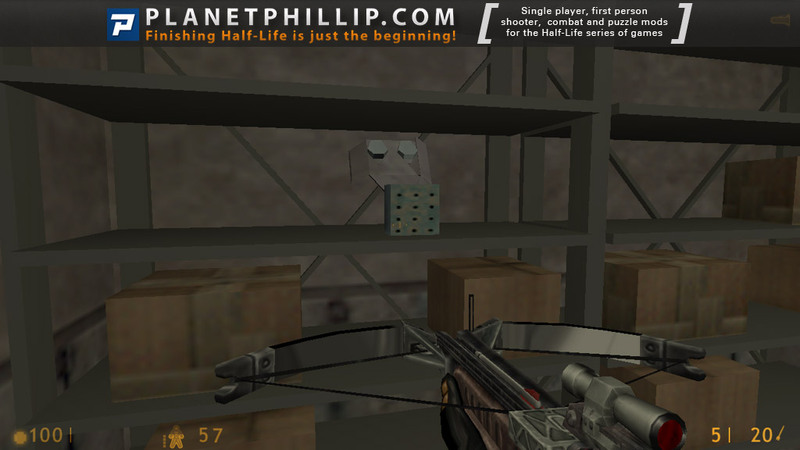 There was also voice acting in this mod, but it wasn’t very good. Still I feel it makes little difference. Now we get to the error which almost ruined this mod for me. During the part where you ride a lift only for it to break near the top I thought that you were meant to slide upwards and then crouch to get up. It was only when I realised that I was stuck up there that I noticed another way back down by the broken lift. I was stuck because of a vent which was inaccessible and two immovable barrels. I then went around the proper way to see if I had missed anything but it made no difference. I ended up having to noclip, which was a huge disappointment. I know I sound like a right hypocrite since I usually criticize mods with game breaking errors like this but I liked this one too much to give it a lower rating. I loved this mod, one of the best in the 100SDoN. Oh and as an fyi the thumbnails for screenshots 59 and 60 are mixed up. I really liked this little mod even though it wasn’t perfect. There was a little too much vent crawling for my taste, and I too got stuck with the barrels that wouldn’t move and had to noclip to get into the vent. 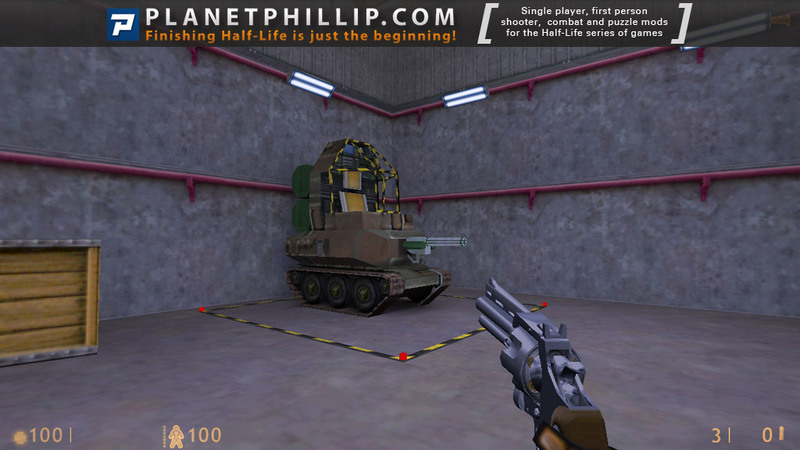 The new vehicle with the gun was great and I really liked the fact that you could start this like a normal mod or simply start the training course directly. Yet another really terrific early mod, I enjoyed this one tremendously. Rather than just frustrate myself at the ubiquitous “immobile barrel” area, I just saw what needed to be done and noclipped up. The level of detail that went into this mod is obvious. With loving references to the other expansions and full story line, I found myself giggling like mad whenever I recognized things. It was reasonably easy to see what to do in some cases, but also had its share of “wait, how do I…” and then a wonderful “OH THAT’s AWESOME” moment when you figure things out. All in all a very worthy mod, dl it and enjoy! 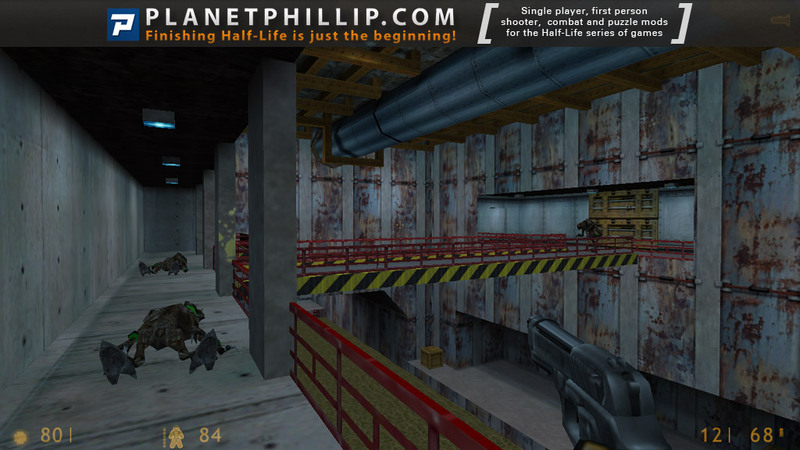 This must be a classic or at least be into your classic list of HL1 mods, this is recognized because you are another scientist with the only goal of getting out of BM alive!, so simple and that’s why is delightfull, as u can see in the images avobe, there’s a good mapping work and gooood battles so u won’t regret it, this was one of my firsts mods i’ve played and so those emotions are in charge of this top of the tops rate, the part almost at the end with the vehicle, reminds me the jaloppy vehicle in R&D mod, so thats a cool courious fact!. 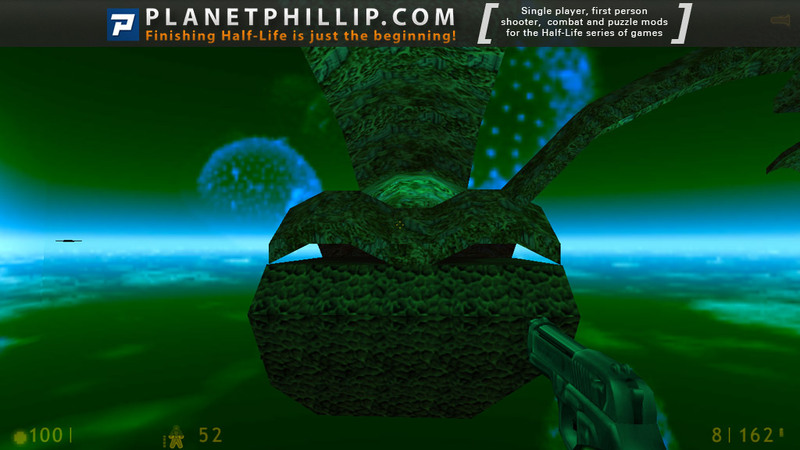 This mod was was extremely well produced and, needless to say, I thoroughly enjoyed playing it. 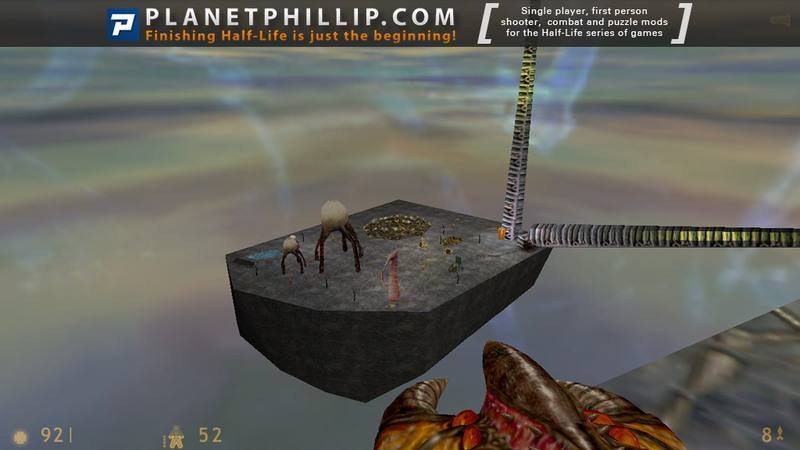 I thought the best part of this mod was the story and the way it was intertwined within the events and locations of Half-Life. 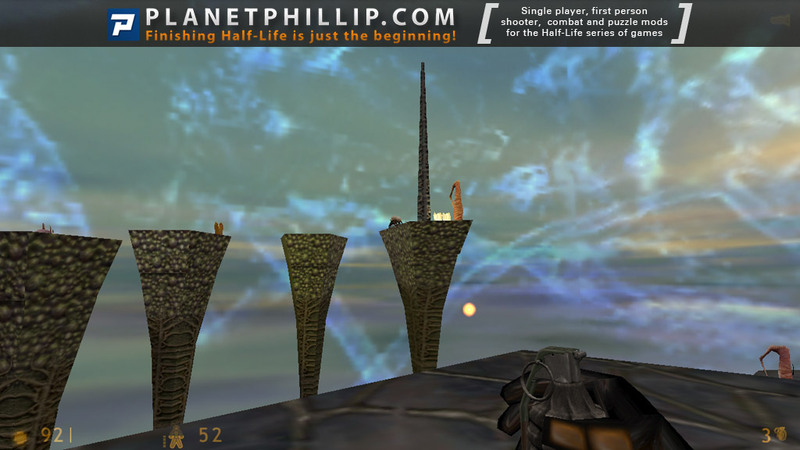 I enjoyed wandering around the various areas that were taken directly out of Half-Life and tweaked to show the wake of destruction left by Gordon. I think it may be due to the dramatic irony of each of those set-pieces. 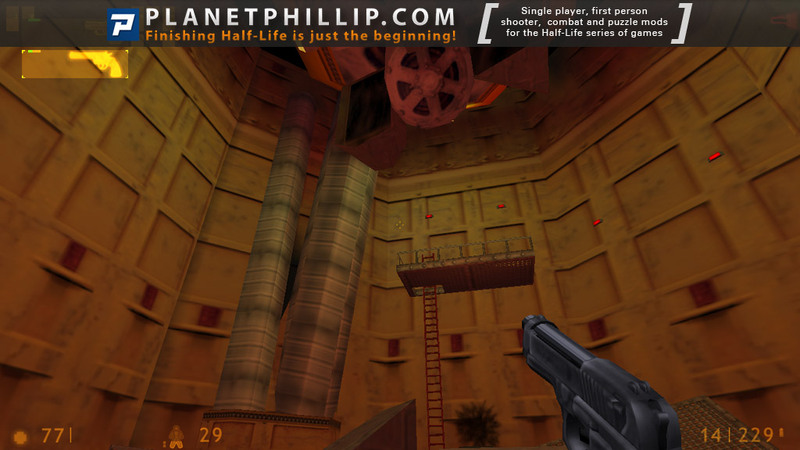 Within the Black Mesa complex, I found that the majority of the environments felt very much like Black Mesa, which is good to see. This may be because there were a lot of areas that were taken from the original but it felt “right” regardless. Outside the complex, most of the areas were fairly well detailed as well but some of the texturing, I thought was, slightly off. That’s probably me just nit-picking, though. 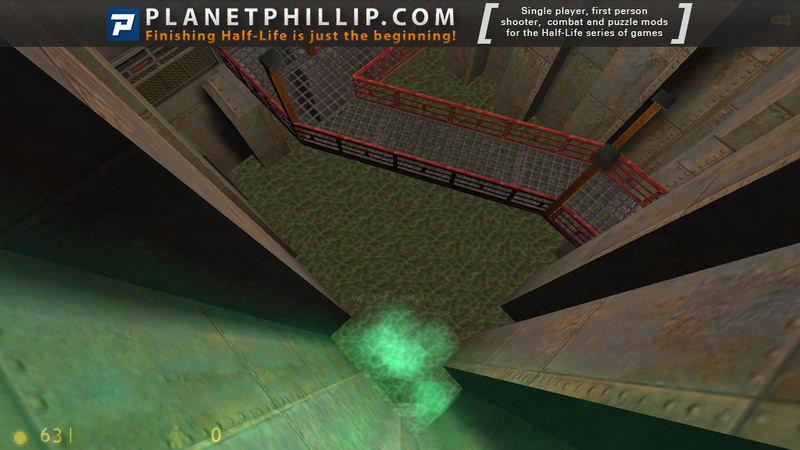 My biggest gripe with the level design would be that there was far too much vent crawling. I know there were some clever puzzles involving the use of vents to progress further but I truly think it was overdone. 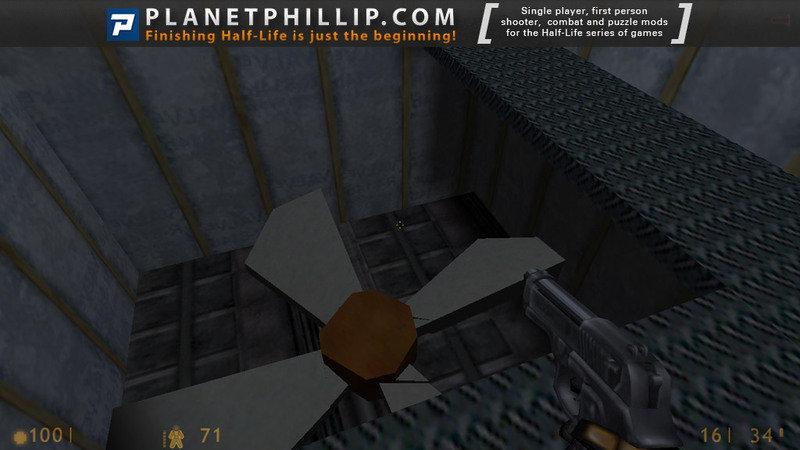 At least there wasn’t the typical Headcrab infestation of the vents so that was a nice change. The combat was probably on the easy side but there was enough variety of enemies and locations that it felt satisfying, nonetheless. 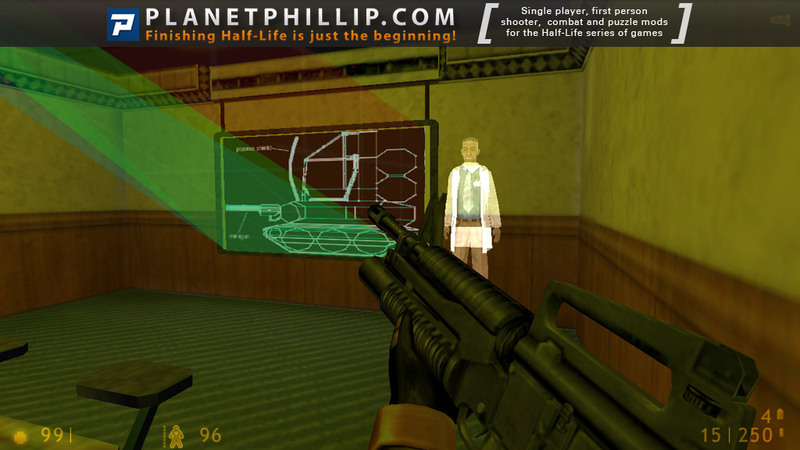 Easily the best part of the combat, I thought, was the rail shooting section. The idea and implementation was brilliant. If only it moved a little faster and lasted a little longer. Most of the puzzles were pretty straight forward, though there were a couple that had me stumped for a bit but I managed to solve them albeit accidentally trying to do something else. And the pacing between the combat and puzzles was evenly mixed so I didn’t feel overwhelmed by one or the other. Unfortunately, there were a number of bugs due to strange things happening within scripted sequences, that usually ended with your demise. Most of the bugs were preceded with an autosave so I was forced to sit through the sequences multiple times until it let me live through them. It was mildly irritating but not really game-breaking. Overall, a very good quality mod. Definitely worth your time to play. I think that they did good work using original maps with this. But their own mapping was boring IMO. That “3 elevators” “puzzle” was strange, didnt make any sense. 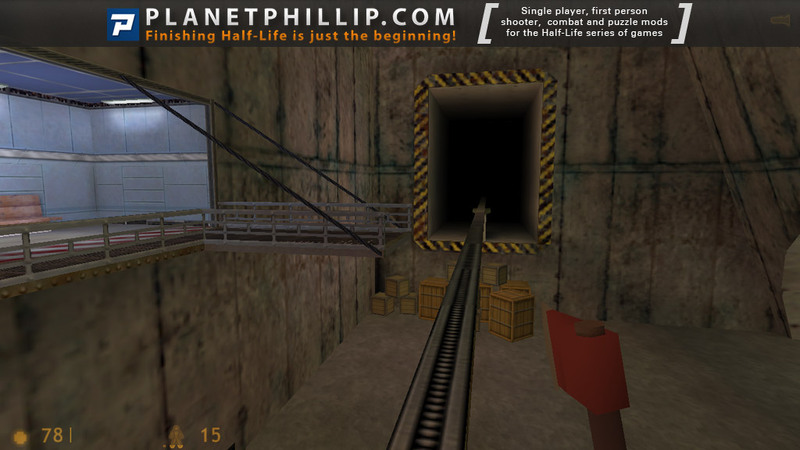 After that comes that “bugged” moment, when you cant use those barrels to get to that vent, well I used tripmine as ladder. I think Xen was badly made, it was boring area alltogether. Always good to have some own voice acting too (quality is what it is), extra points for that and other little custom things. very good mod. I liked how we got some alone time with barney and the acquisition of the second weapon, hehe. their are two glitches but as they are all ready mentioned I will not go over them. do not let them take away from the enjoyment of this great mod. lots of sneaky goings on and some puzzles are a bit tricky. I do hope they continue the story and expand on enemy placement. otherwise it was great. Well, for me it shows up on my steam library, but it won’t load…damn…..
Do you receive any errors messages? 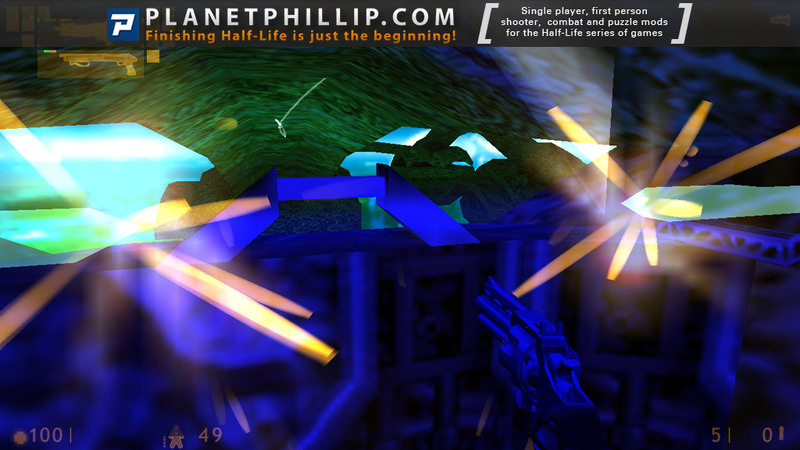 A pretty solid pack with good ties to Half-Life, Opposing Force, and a couple similarities to Blue Shift in parts. 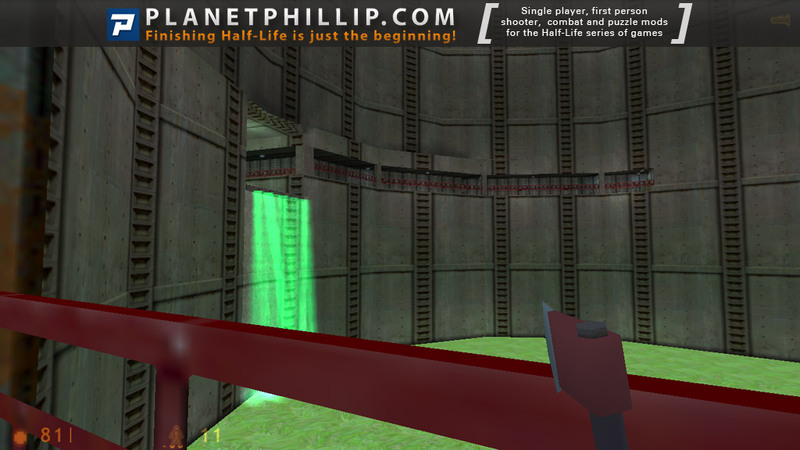 Add in some new mechanics (the armed vehicle section) and you end up with a pretty enjoyable Black Mesa-themed mod, but one that does have faults. However: Do NOT start with the Hazard Course! 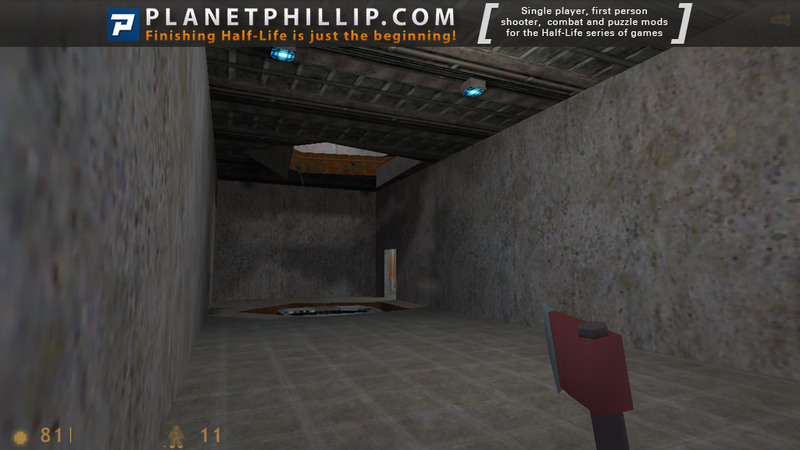 for 2 reasons: (1) you’re locked into playing on Easy (skill 1) and (2) You’ll miss the first 7 maps of this mod! 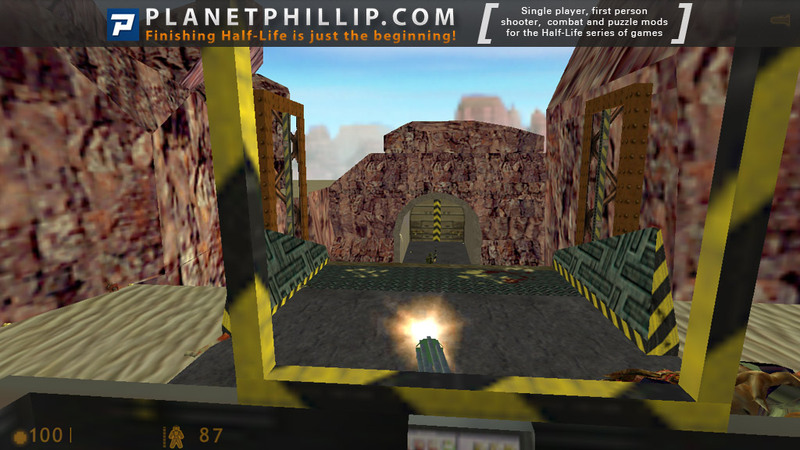 Brave Brain actually starts with a moderate length train ride just like Half-Life and Blue Shift, and it leads in to the Hazard Course anyway. 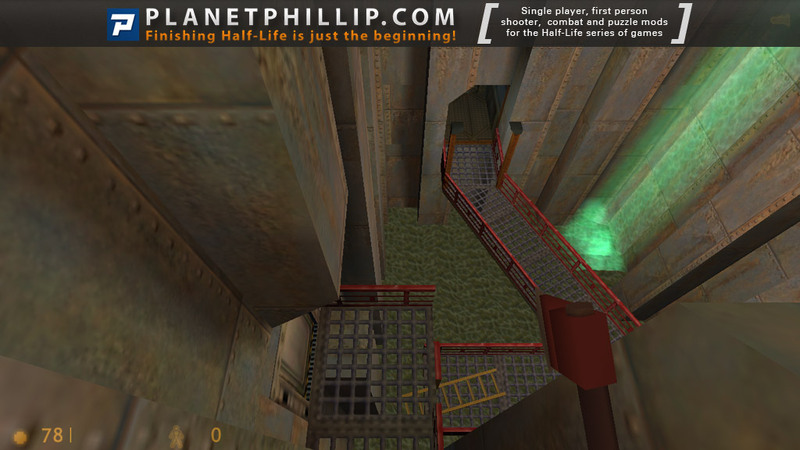 As I said, you’ll be skipping a decent chunk of these maps if you don’t choose New Game! 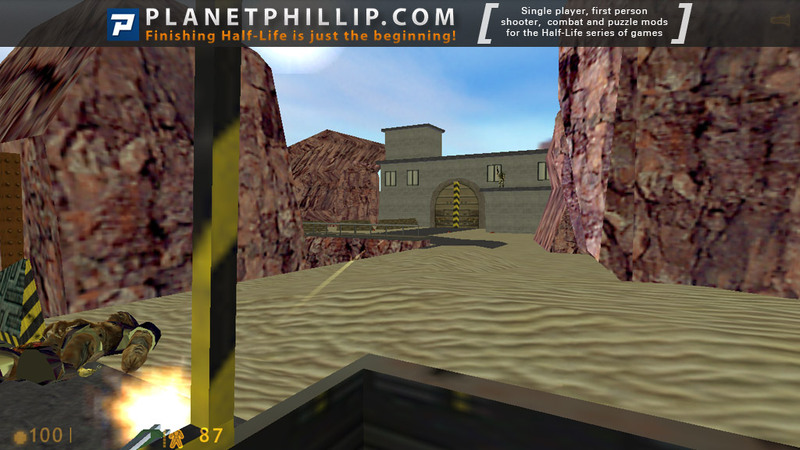 The maps are pretty good, although without too many details. 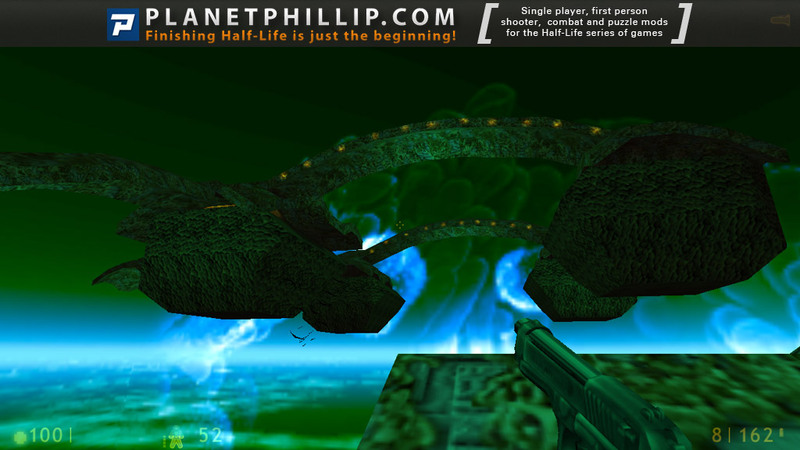 I didn’t think the Xen section was really up to par, but it felt about the same as the outside Xen sections in HL. 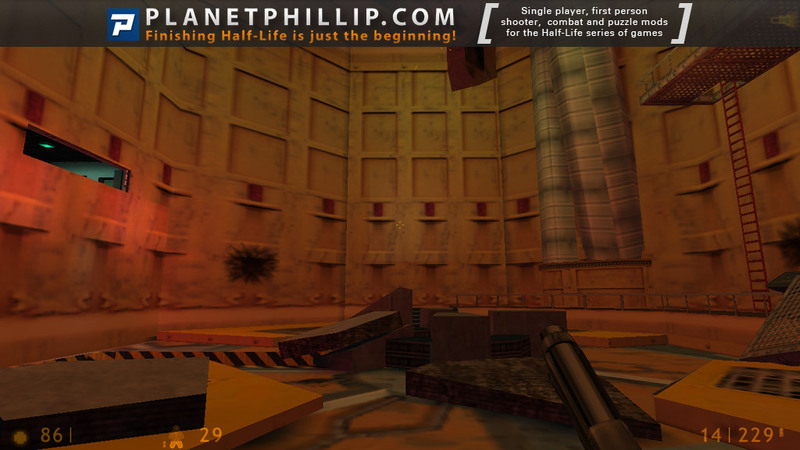 You do get a pretty good Black Mesa feel, and the progression through the BMRF areas are pretty mixed up compared to the original games which keeps things fresh. A couple of annoyances about this pack. First, the damn vent crawling! 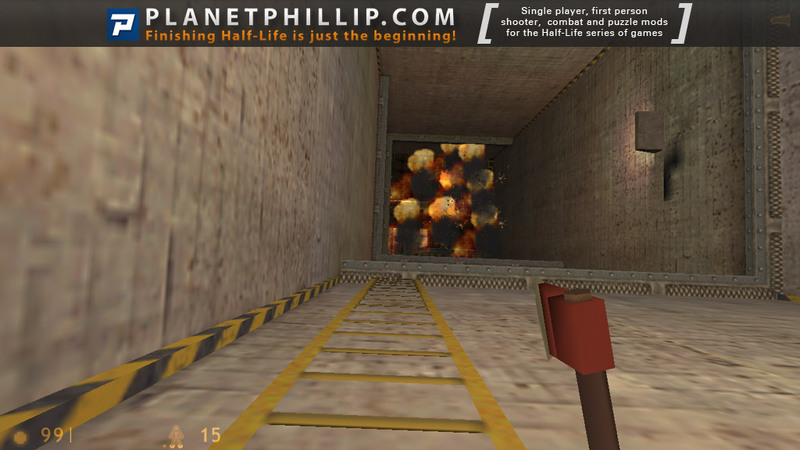 Ugh, it seems like a quarter of this mod is spent in the vents. Second, in a couple sections (during sequences) you are locked into place with invisible walls. Third, it seems like every single piece of equipment collapses the second you touch it. Yes, I get that things are old and falling apart and it’s fun to be there when things go wrong. But it seemed like every goddamn catwalk, ladder, and vehicle you touched broke under your feet. And overall this is pretty easy (though I was locked into playing on Easy…). 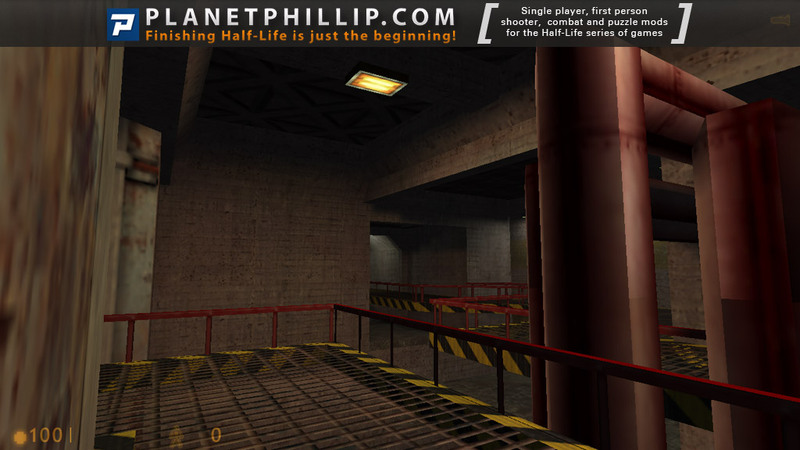 This is worth playing, particularly if you’re looking for a Black Mesa theme in the maps you play. It’s overall fairly well done if you can stand the annoyances. I didn’t like this mod, although I had high hopes after the good recommendations here. 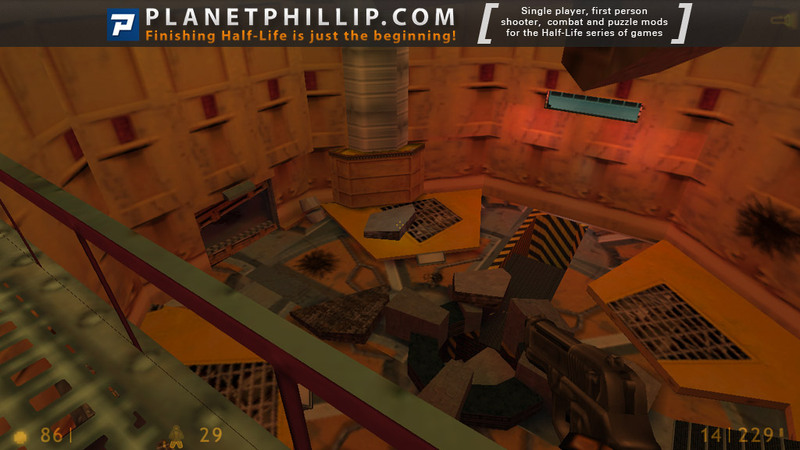 Most of the better maps in this pack were ripped from Valve and Gearbox which was not acknowledged in the readme! 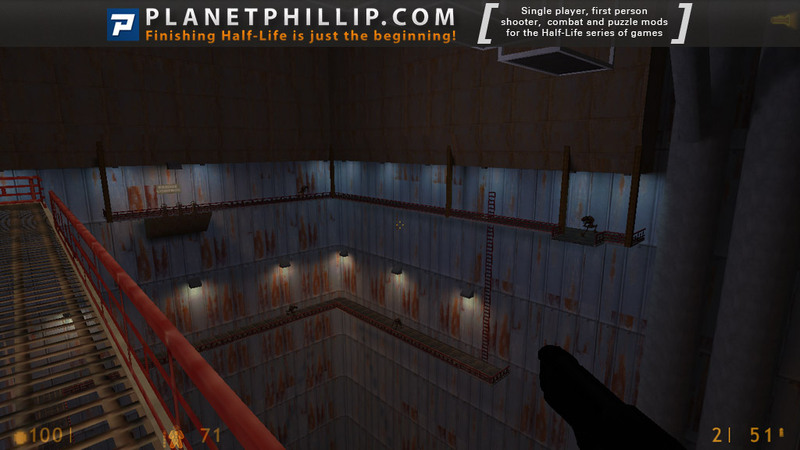 A lot of the new maps involved boring ladder-jumping or vent-crawling. Then there was the game breaking barrel-not-moving bug and I also noticed a lot of misaligned textures and similar annoyances. The new gattling gun vehicle was nice, but together with the boring sequence in which you use it, not enough to compensate for all the negative issues. 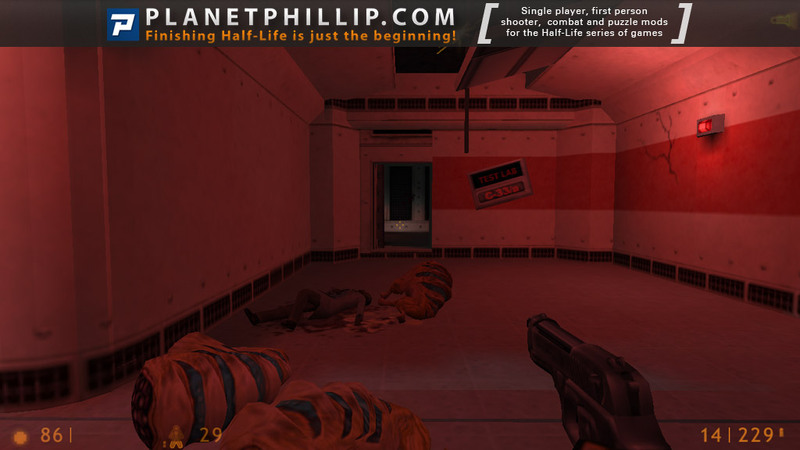 I don’t think any HL/Op4 maps were ripped, just re-created. Nothing wrong with that in my opinion, although it shows a bit of a lack of creativity, sometimes it might be just what you want if you’re intertwining with the original stories & locations. Good mod so far, but am stuck. Is there a Walk-through available for this mod? No walkthrough here, but if you tell us where you are stuck we can maybe hint to you. Am at level b3a2; have turned “on” all the electrical switches, including the door switch, but can’t find a way to “open” the door. Assuming it’s the large door next to the door-switch. Never mind, found that I had to push one power button again to get the door to open; am now proceeding further. Nothing else to say except the axe looks way too bright. Awesome mod, I liked it very much! The story and gameplay is close to the original HL imo, and you even sometimes revisit familiar places, that’s pretty nice! 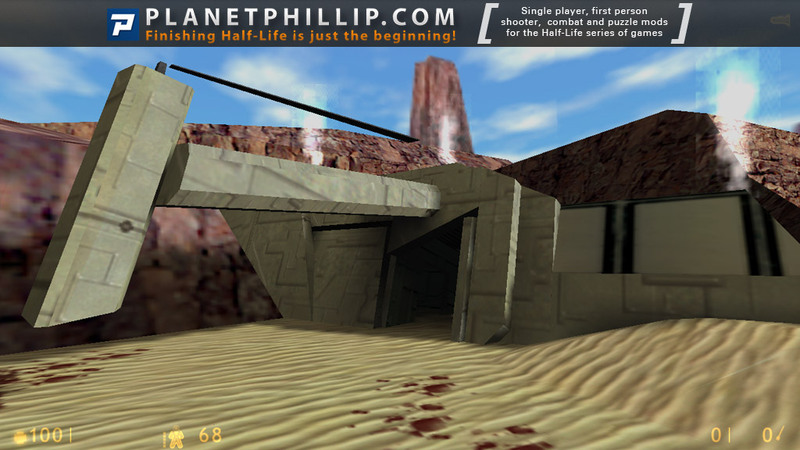 At least it’s not like that as in some other mod where you also revisit the HL Mesa but there’s nothing new there and you always run and run.. boring! 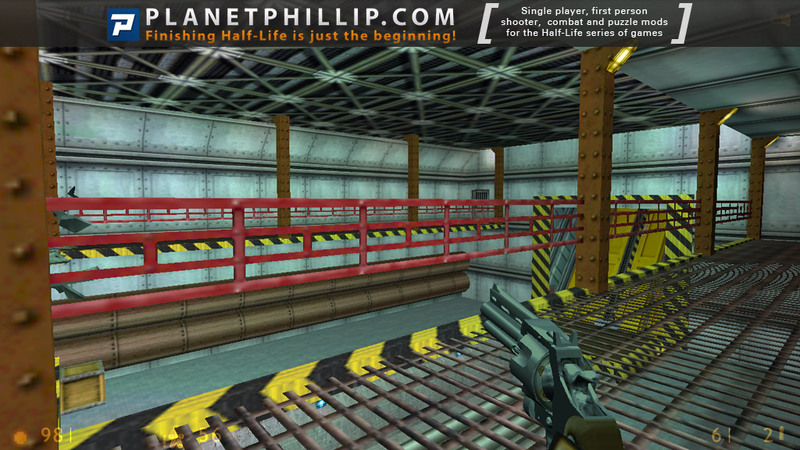 -Revisited original HL zones, but not too extensive – great! 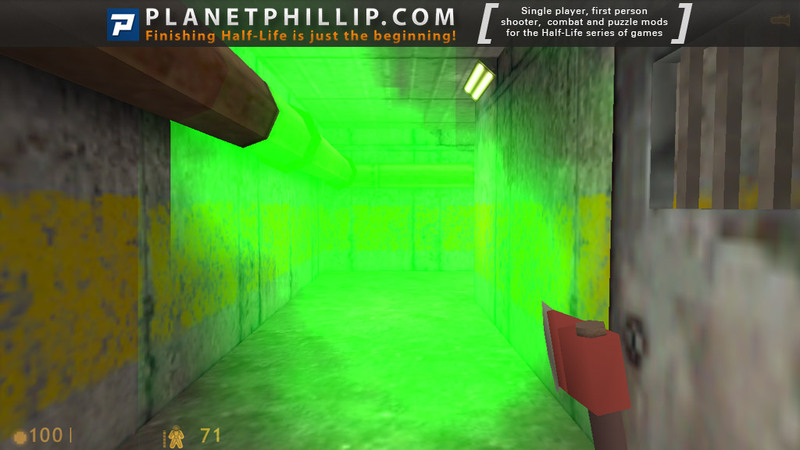 Conclusion: Definetely in my top 20 HL1 SP mods! I am stuck at the level where you are at the top of the elevator that falls because the barrels won’t move even though they are making the sound like they are moving. Otherwise, this map was entertaining although, a bit easy. To bad I cannot finish it. Great mod. I’ve played it 3 times (at least) already 🙂 . “I am stuck at the level where you are at the top of the elevator that falls because the barrels won’t move even though they are making the sound like they are moving. Otherwise, this map was entertaining although, a bit easy. 1) The left of the two barrels can actually be moved: Look into the gap between the barrel and the wall, press “E” (your “use” key) and then “D” (your “right” key) and the barrel is free. 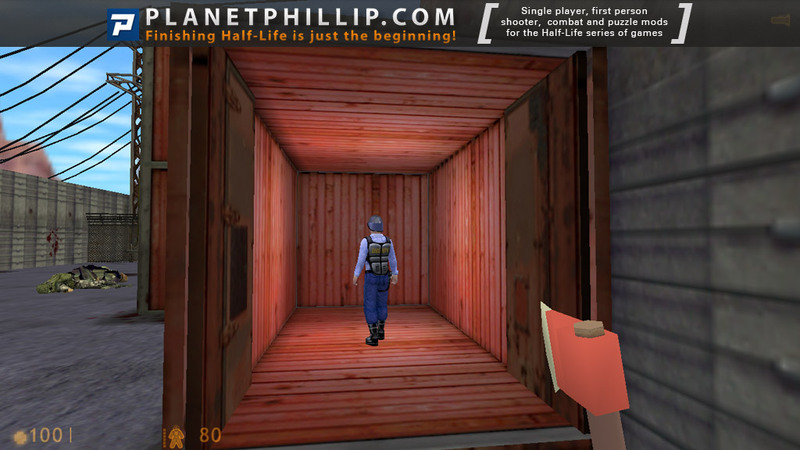 2) In the room immediatlely before this, there’s a wooden crate with a tripmine. Just grab it, put it below the vent, climb onto the mine and then into the vent. 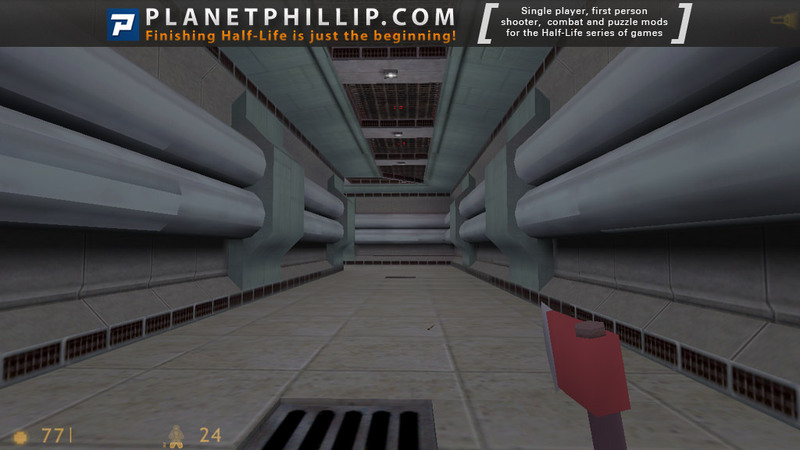 Can anybody tell me why in https://www.youtube.com/watch?v=wKwtAVYJivY at 13:23 when i am there and it loads the map it’s just throws me out of the game? It’s so weird and this happens everytime i reload it. 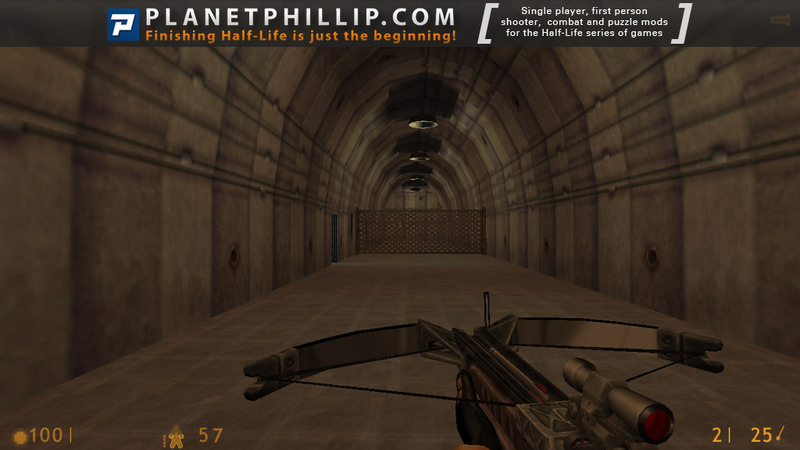 This is another one of those amazing Half-Life 1 mods out there! 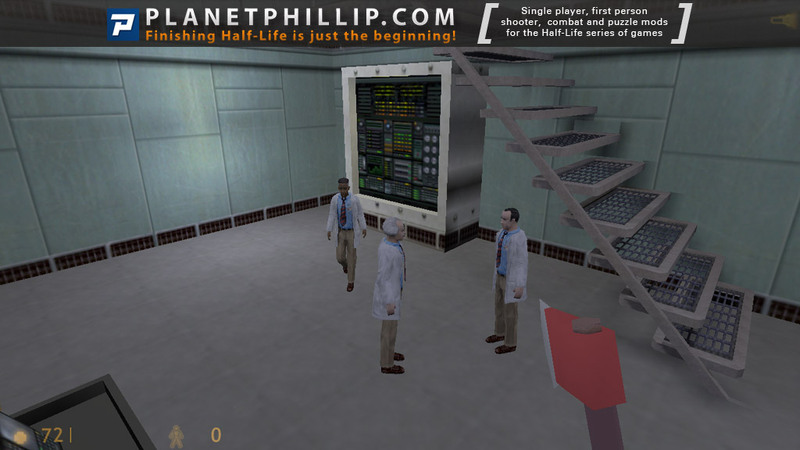 It has the default game’s story, only this time you play as a different character, Thomas Redgrave who is a scientist that works in the Black Mesa Research Facility. 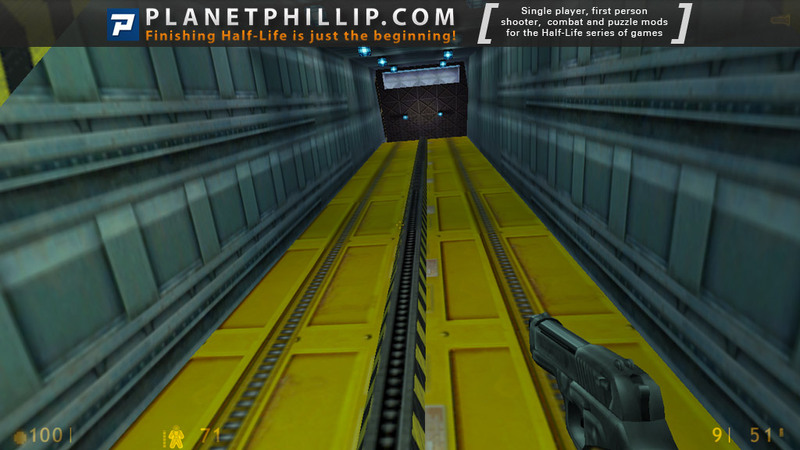 The game starts with you being in the tram inside Black Mesa, which is something that always blows my mind! 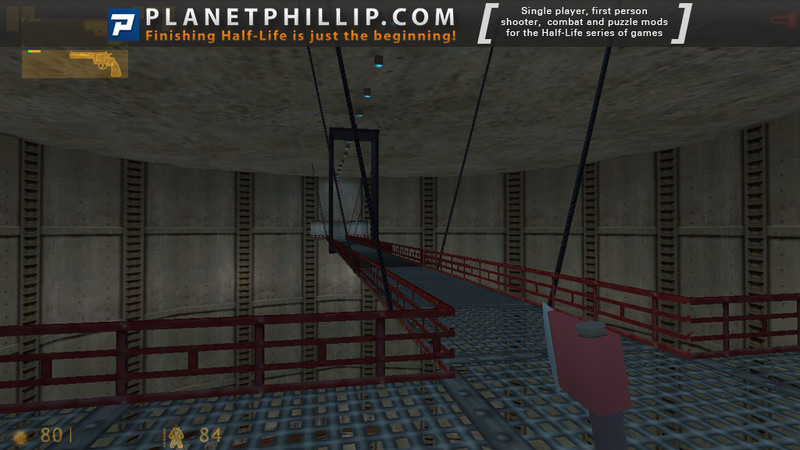 The first areas you go to with the tram are brand new, but you also visit areas that Gordon Freeman has also visited. Since you arrived at your job too early, you take a refresher course of the HEV suit training, and that’s where the incident happens. 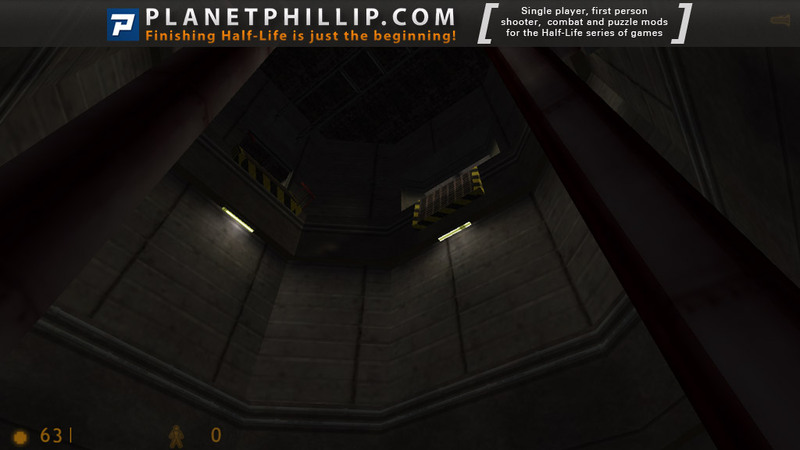 The gameplay is okay, it’s kind of like the default game, the beginning is easy, and as you progress it becomes harder. A lot of enemies spawn too far away from you, which makes it way too easy to kill them. The marines are sometimes too close to each other and in big numbers. I personally didn’t have a problem with that, but for others it could be very difficult to kill them. 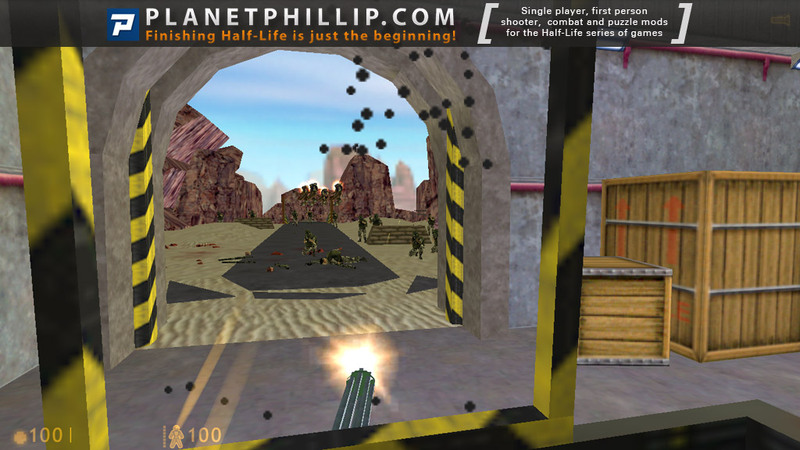 This mod also has a lot of areas taken from the default game, such as Sector C itself, but there are also marines there, which in my opinion doesn’t make that much sense because Sector C is simply too deep into Black Mesa for the military to reach, and it is almost unreachable without the transit system after the incident. During my playthrough there was a physics glitch that made the barrels unmoveable, which forced every player to use noclip to proceed. The visuals are in some places good but in others not. The areas that have the biggest details are mostly in the beginning in the tram ride. Others are plain and empty. I have also noticed that in some areas the texturing is poor, and by that i mean that a lot of geometry share the same textures, which makes the level look overall poor. 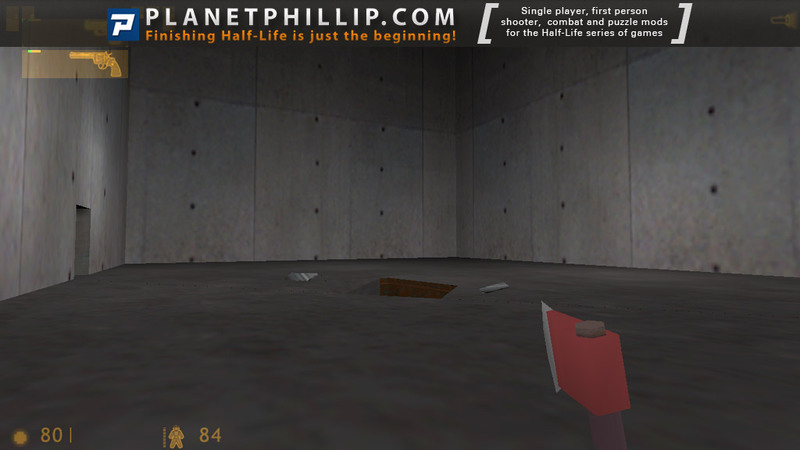 Likewise, in some places the textures are over-scaled making them look more blurrier that they should be. The new Xen levels are not as good, and that’s because they have the wrong textures on the geometry to show that it’s Xen, and the poor texturing also appears in those levels. For instance, the Xen rock-type texture shouldn’t be on the floor. Although sorry if i’m being overdone about the visuals, it’s the thing i have my most attention on when i’m playing modifications made by other users. Besides, good feedback is always useful to have in mind for the next project. This was a fun little mod to play! While relatively short, it felt just about right for how much you did and didn’t feel like it ended abruptly. 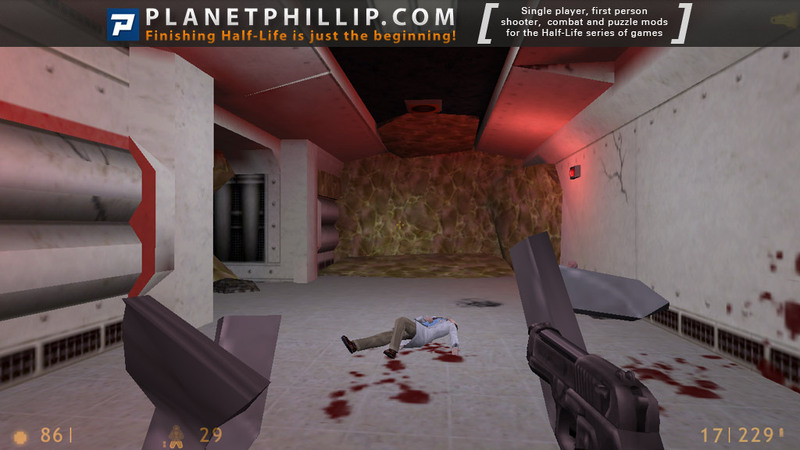 You got access to wide variety of weapons and a lot of chances to use them, and got to visit a number of cool areas you may have seen in the original Half-Life games just out of reach. If I had any problems with this mod, it was these two: 1.) It felt like there were some puzzles or sequences that were just broken- I had to noclip once because I think a crate that was supposed to be moveable just wasn’t. 2.) 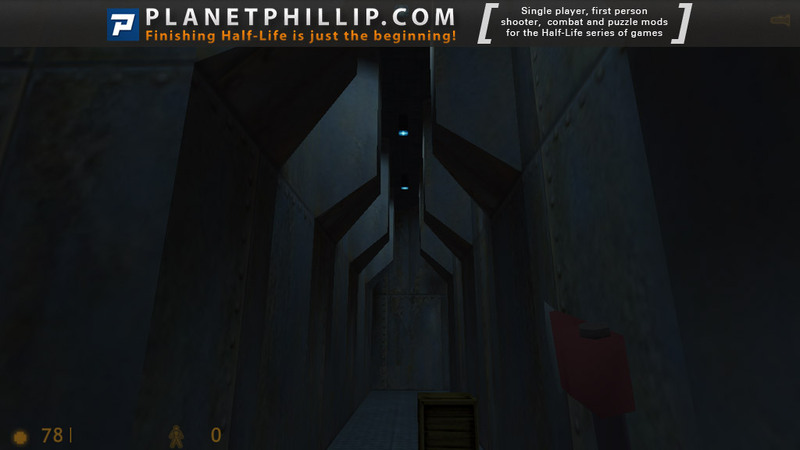 I felt like the timeline compared to Half-Life didn’t seem to quite match up with how fast things were moving, but maybe one of the sequences where you are unconscious is meant to last for some time? (The voice acting is also god awful, but I’ve just generally come to accept that with mods haha). At any rate, even the problems I had with this mod, I really enjoyed it. Definitely worth a couple hours of your time! 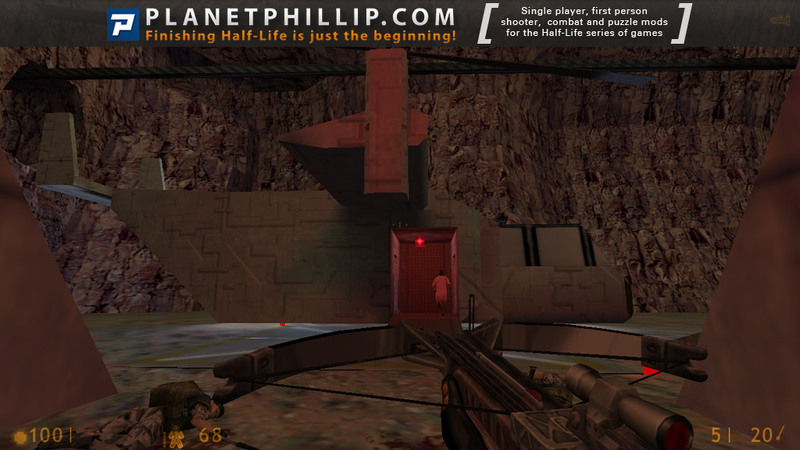 A poor little brother of the official Half-Life expansions. Play it now if you like stories which intertwine with the official ones. 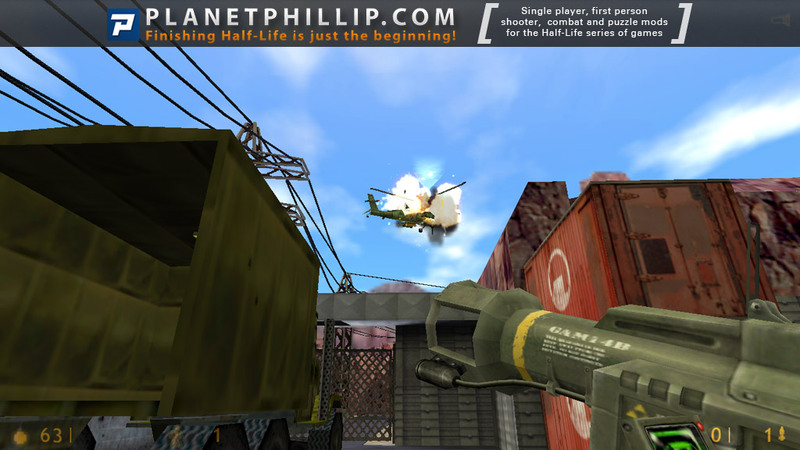 Overall it’s a really fun mod, gameplay and difficulty is well balanced, maybe a bit too easy. The mod is pretty generous with ammo and health and so I recommend to play this on hard. Really the only thing that prevents me from rating this higher is a bit lazy level-design – lots of misaligned textures (especially in vents, and you do a lot of vent crawling), some broken brushes an some areas which don’t make much sense architecturally. That won’t stop you from enjoying the game, and a lot of players might not even notice this stuff, as a mapper I just can’t help myself not to see it. The author made some English voice acting. To me that is a plus – yes, he has a bit of an accent, but the voice is clear and easy to understand, imo it is better and more immersing than when the story is only told through text.